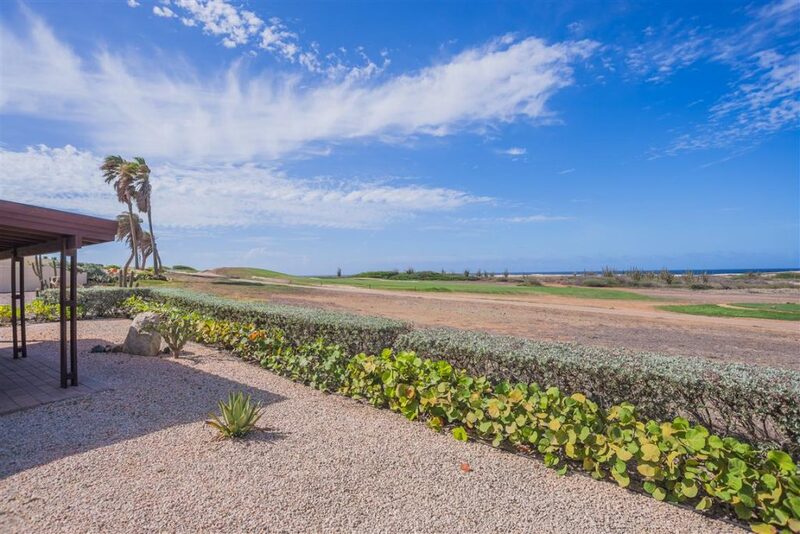 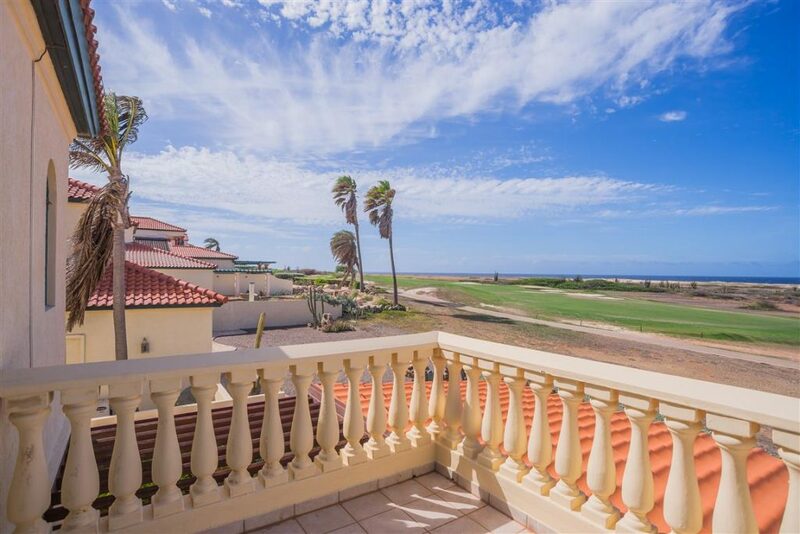 Enjoy the breathtaking views of the golf course and northern coastline in this three-bedroom 1,950 sq. ft., two-story home. 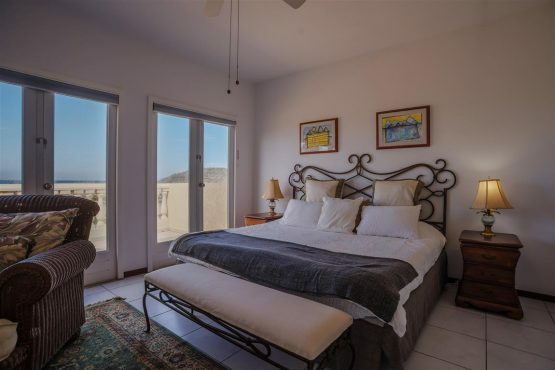 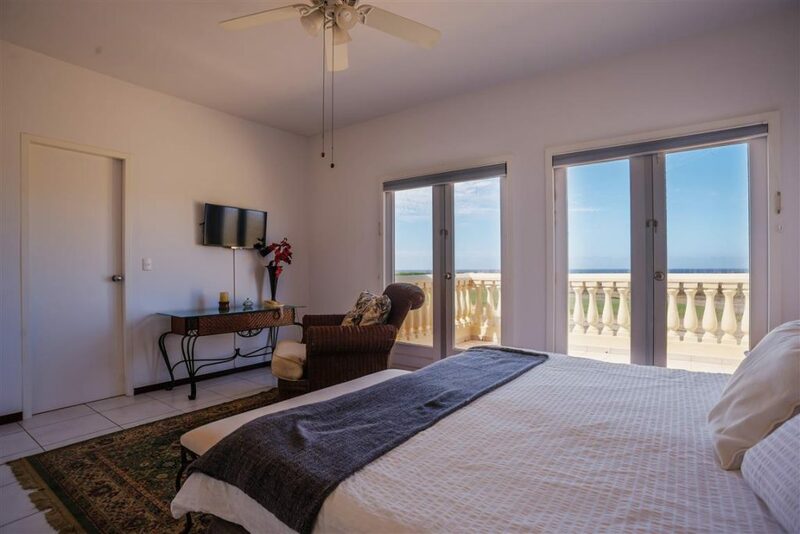 The second floor master retreat includes a king bed and en suite bathroom with double vanity, as well as a private deck with spectacular golf and sea views. 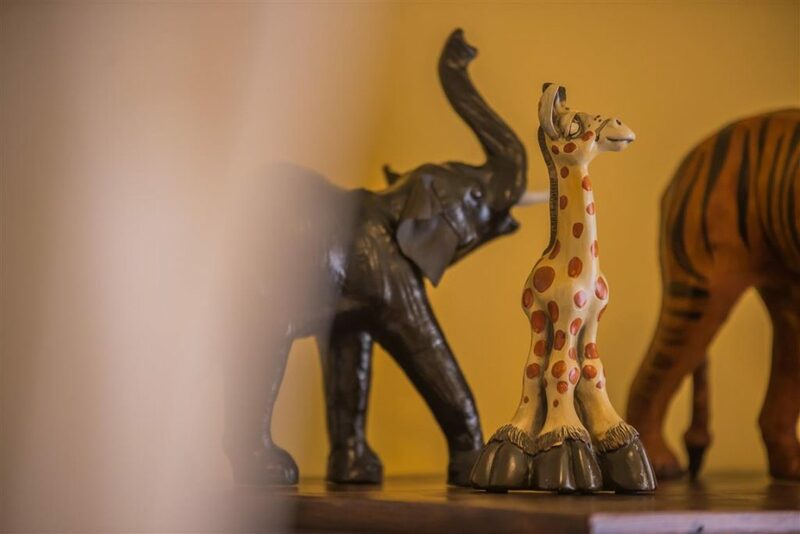 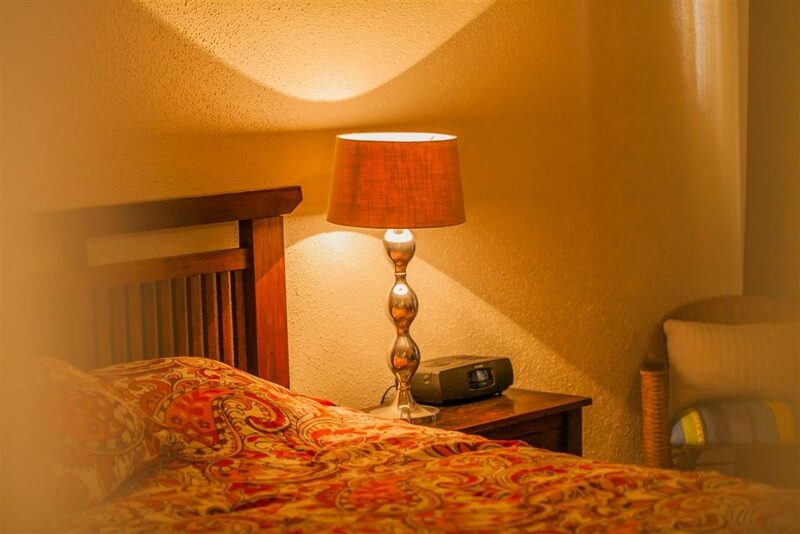 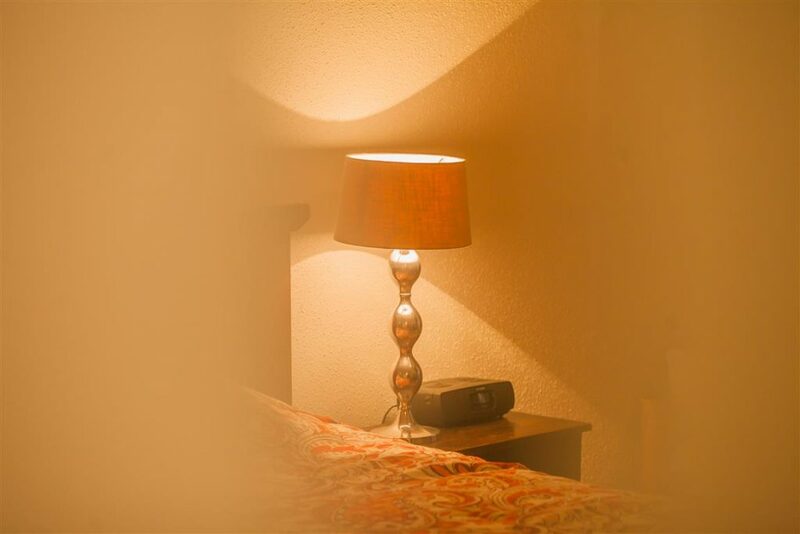 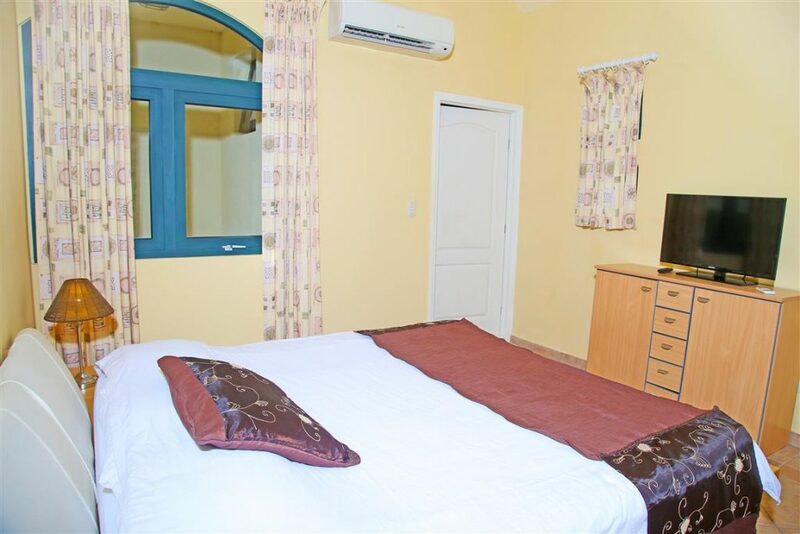 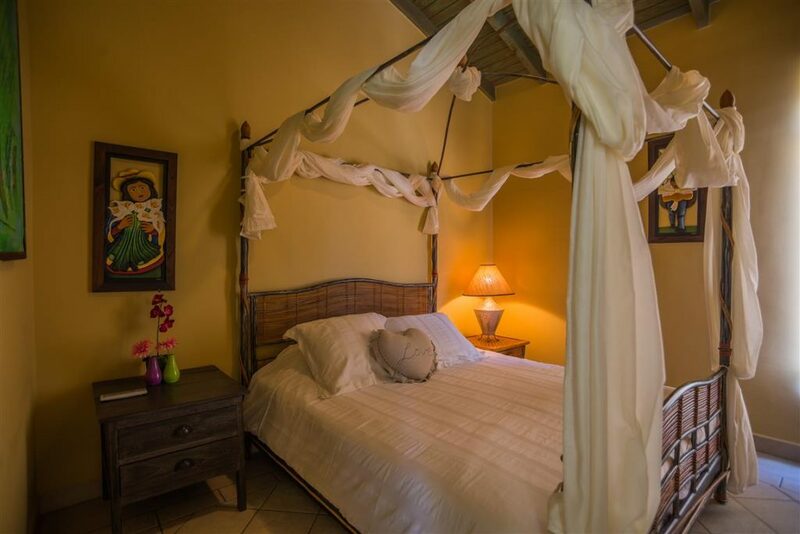 Two spacious guest bedrooms are located on the first floor and feature queen beds and en suite bathrooms. 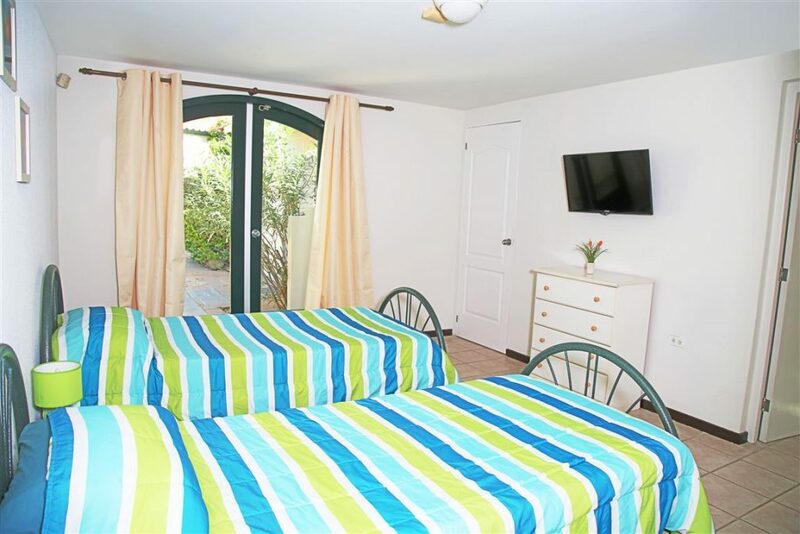 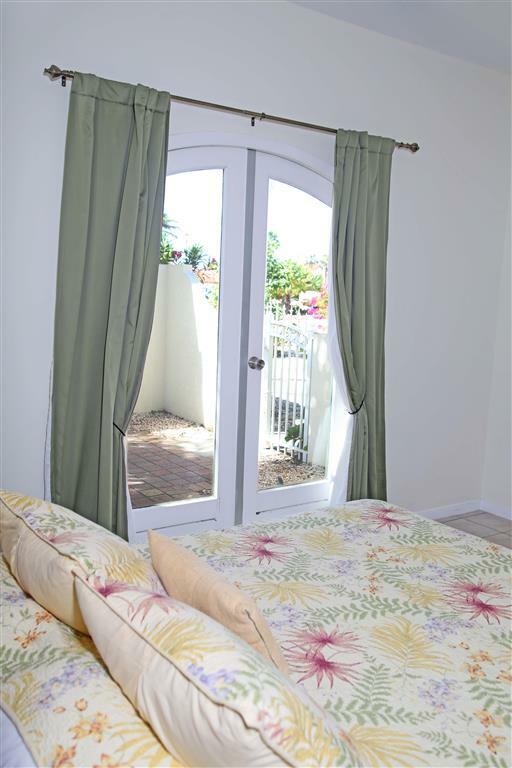 Both guest bedrooms have direct access to the back yard and pool terrace. 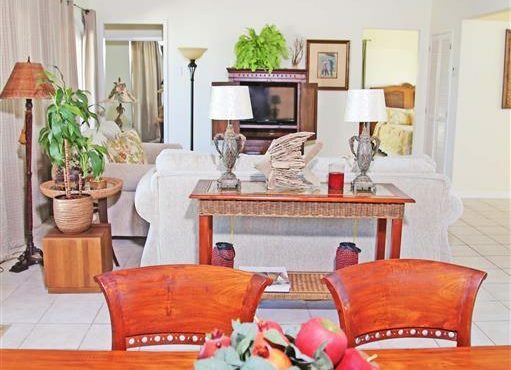 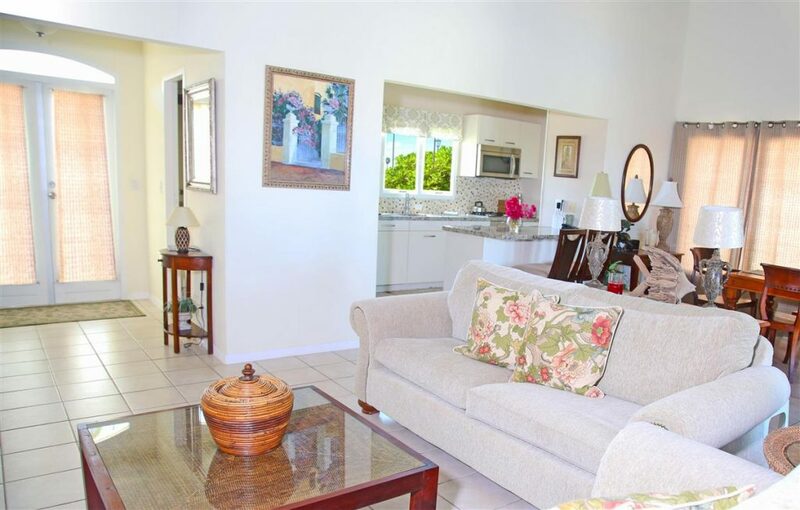 The main living area boasts a spacious galley kitchen with a breakfast bar. 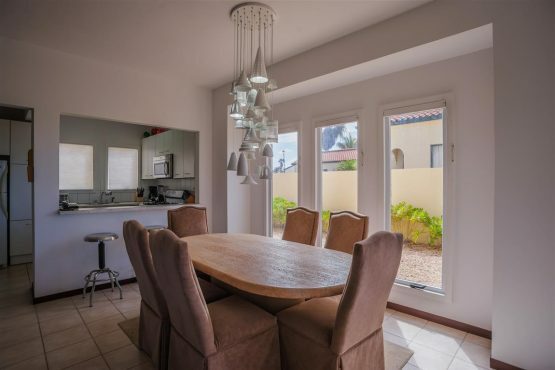 There is seating for six in the dining area. 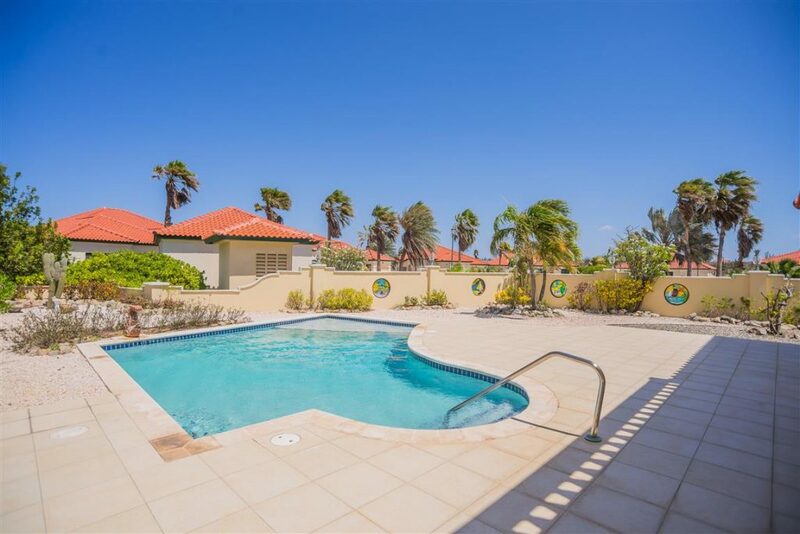 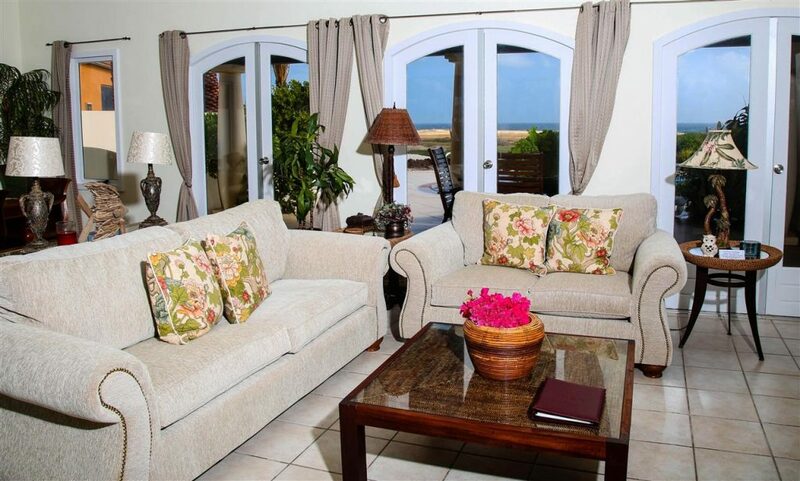 A covered, furnished terrace is accented by a beautifully landscaped garden, pool, and sea and golf course views. This two-story, 1,950 sq. 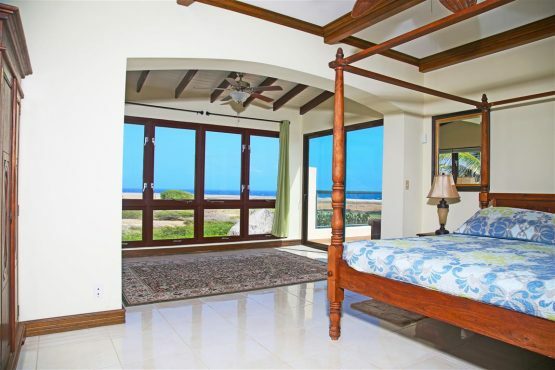 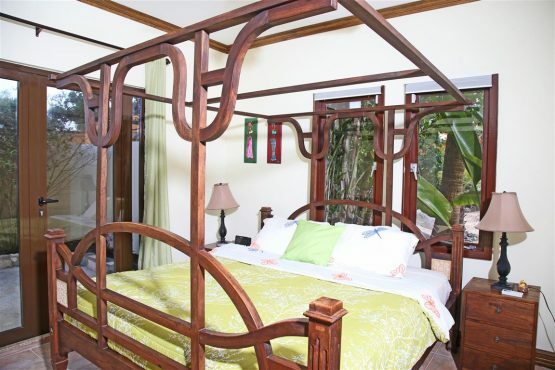 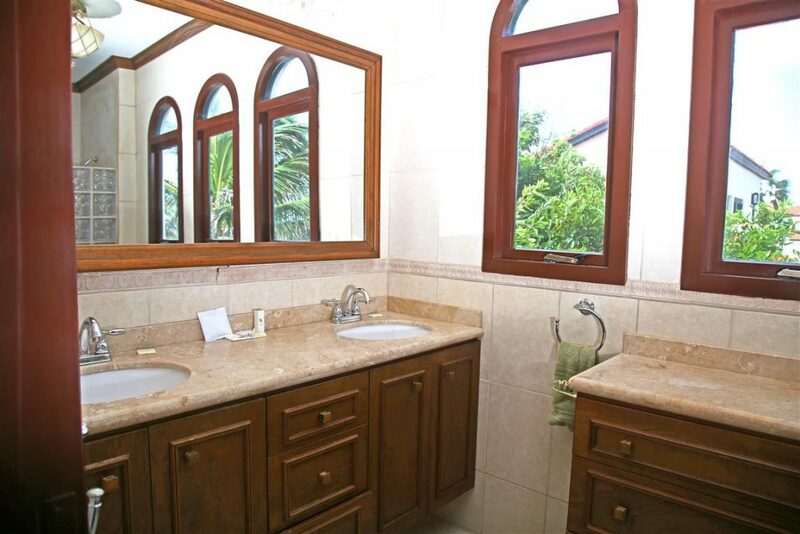 ft. villa has a second-floor master suite with a king bed and en suite bathroom with a shower and double vanity. 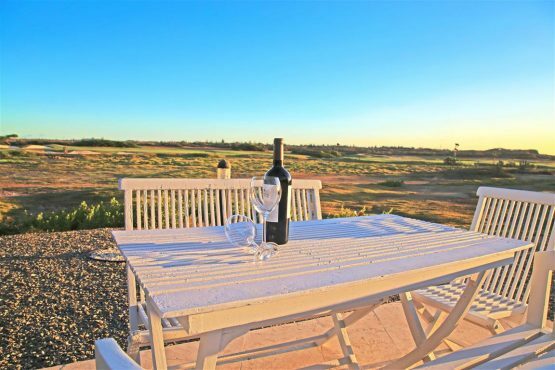 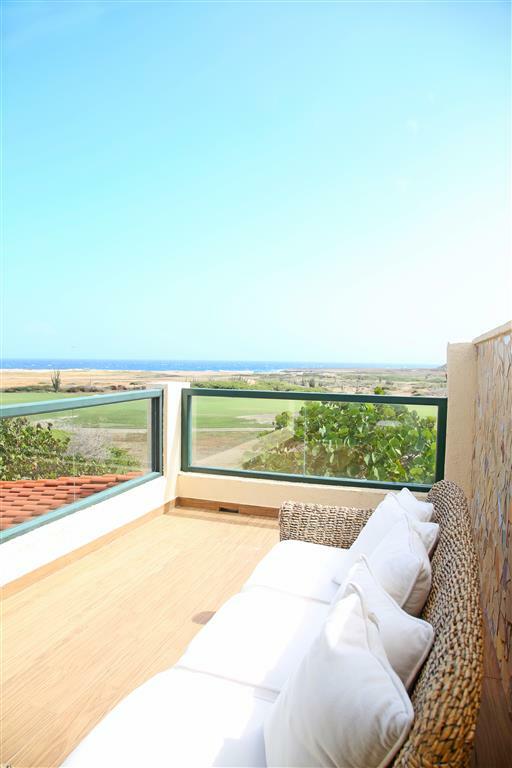 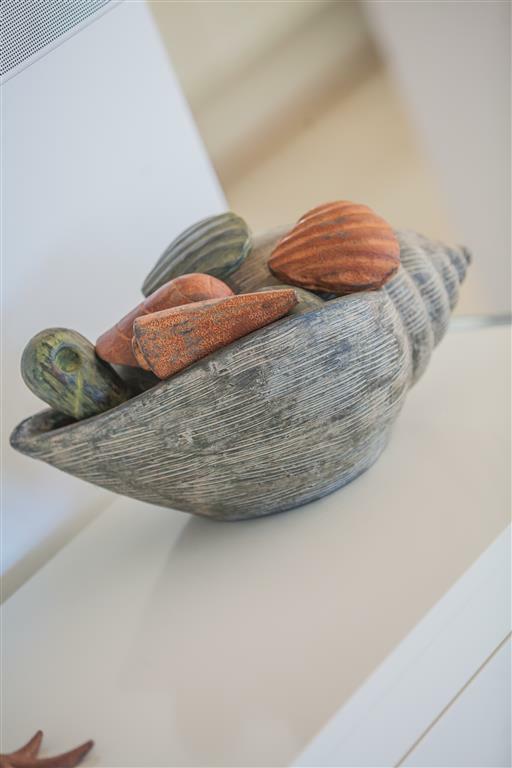 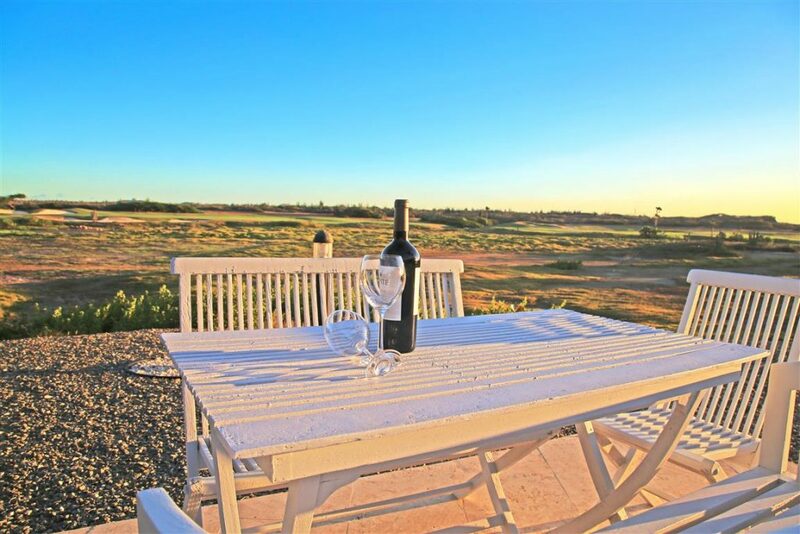 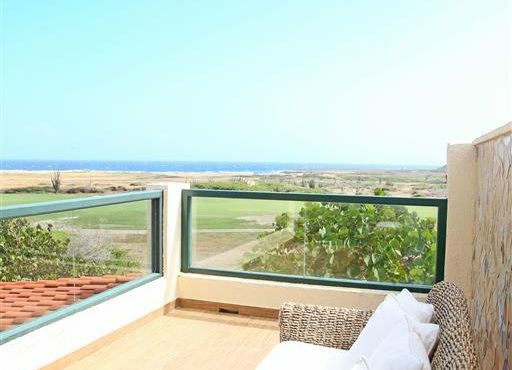 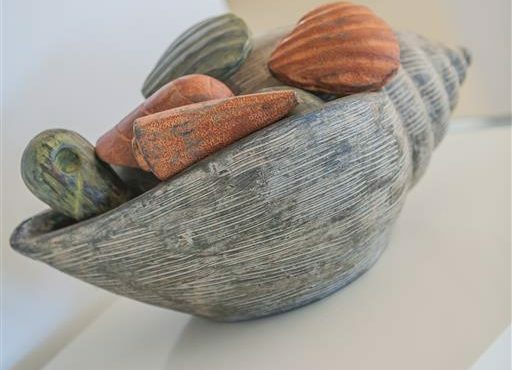 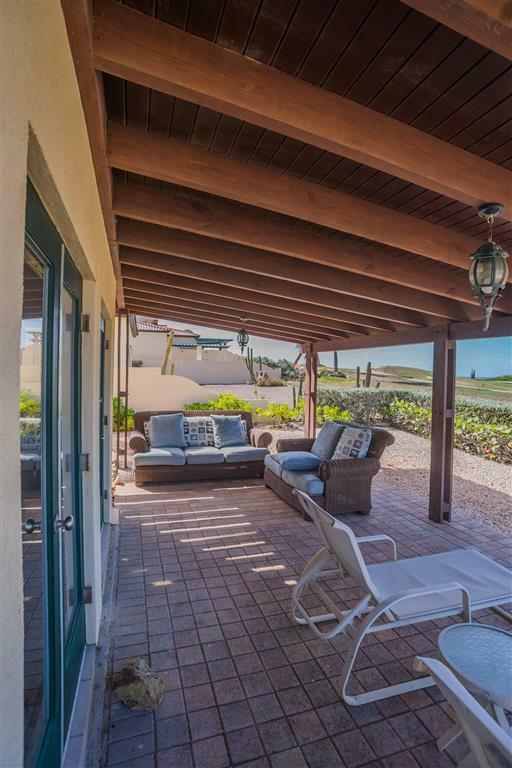 Enjoy the vistas of the north coast from the master’s sitting area or from the outdoor terrace. 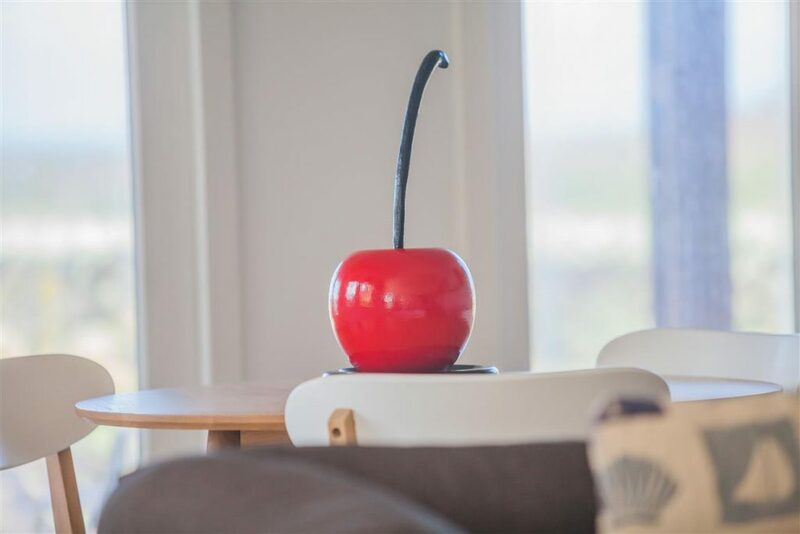 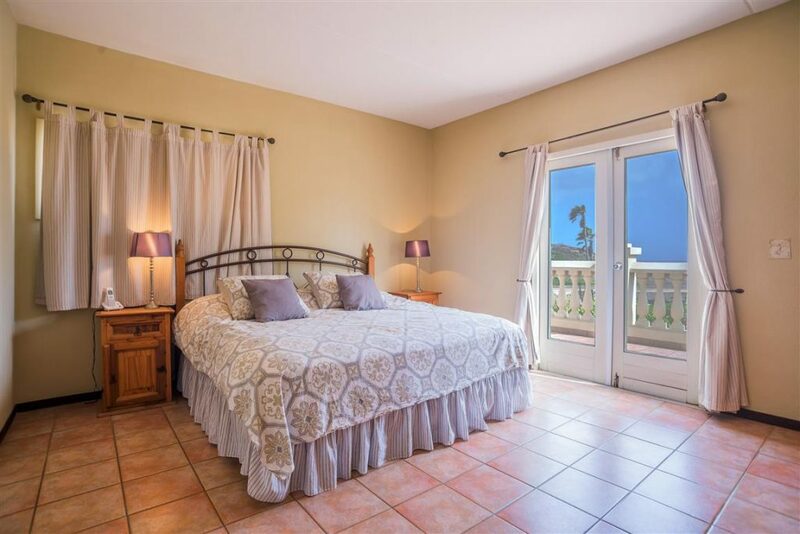 There are two bedrooms on the first floor: one with a king bed and a private terrace, and a second with two twin beds and a walkout to the back pool terrace. 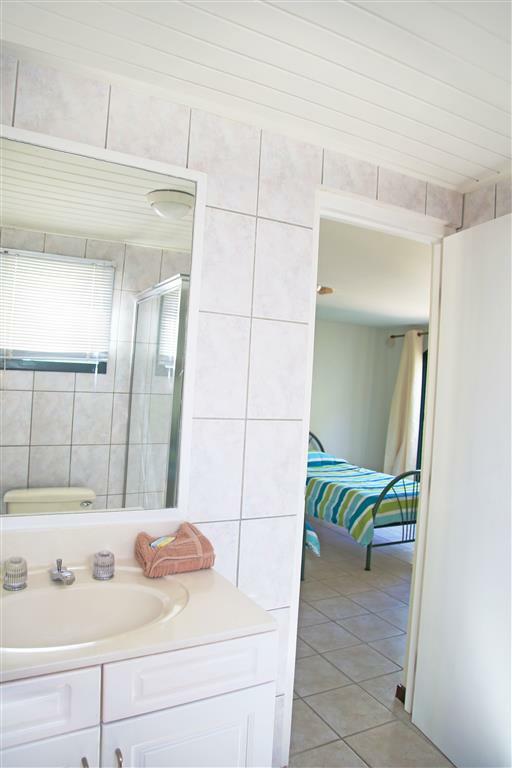 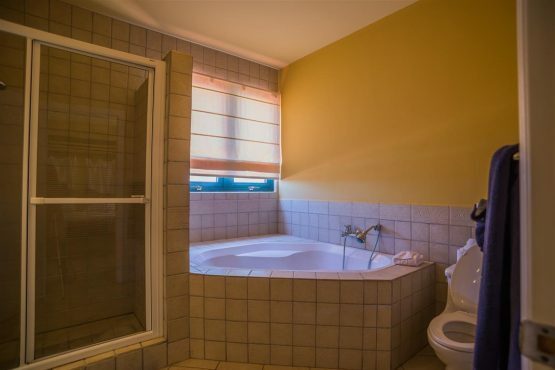 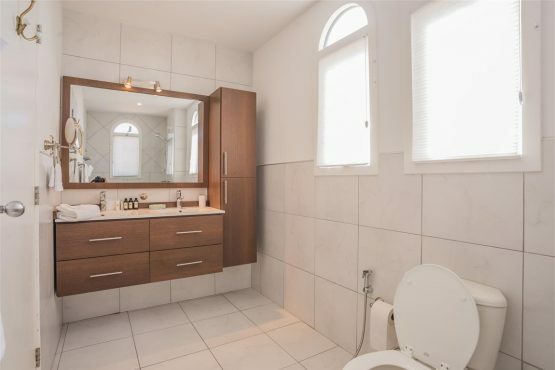 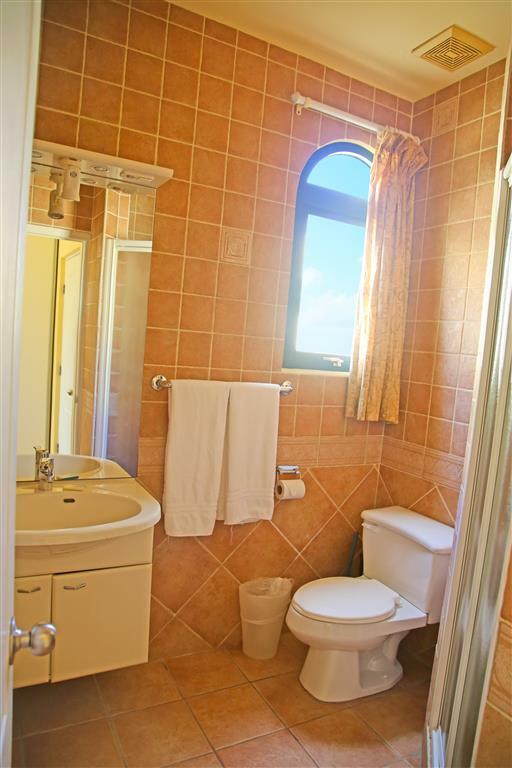 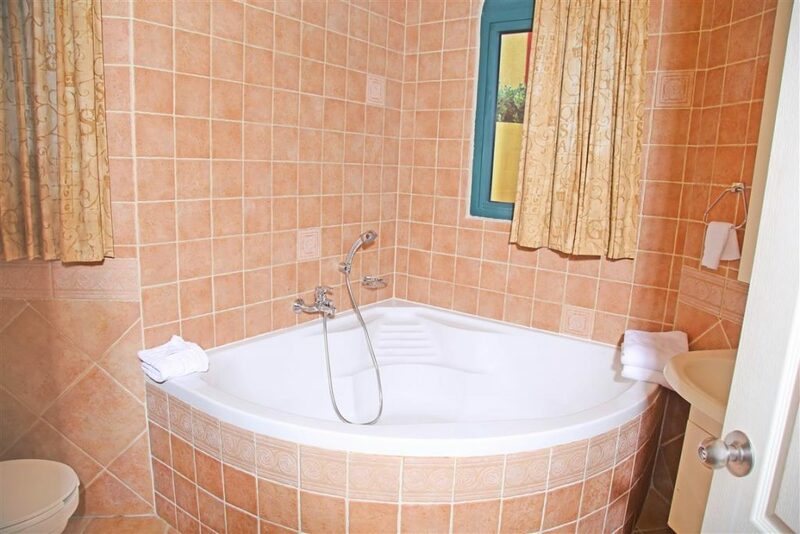 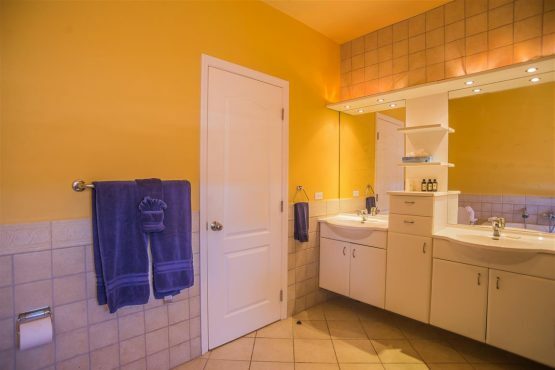 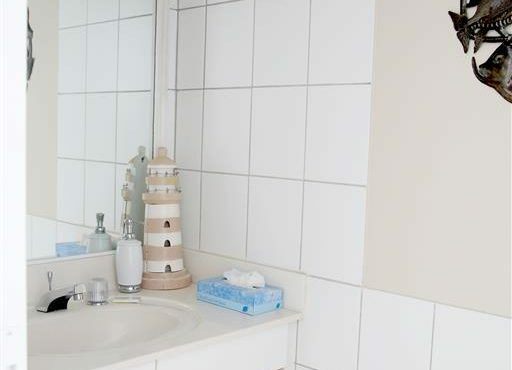 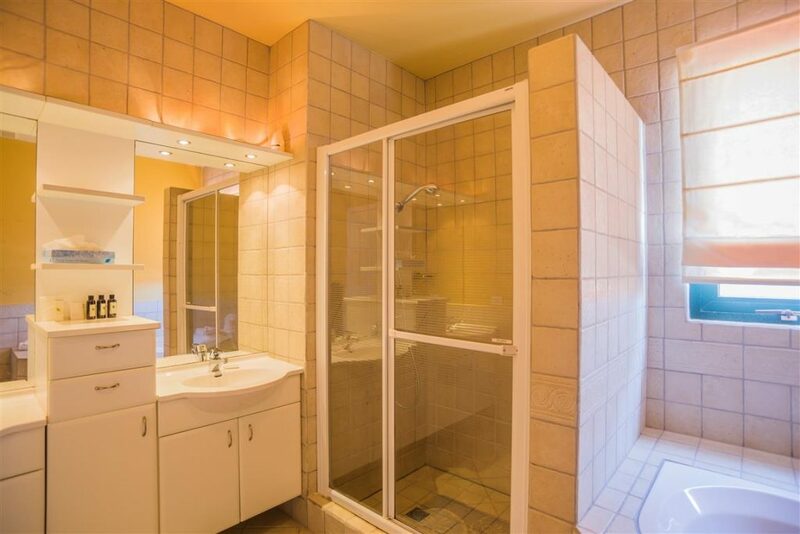 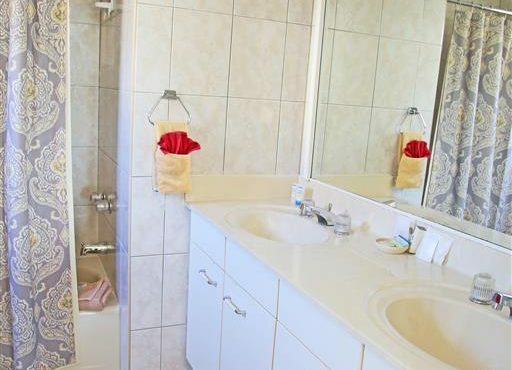 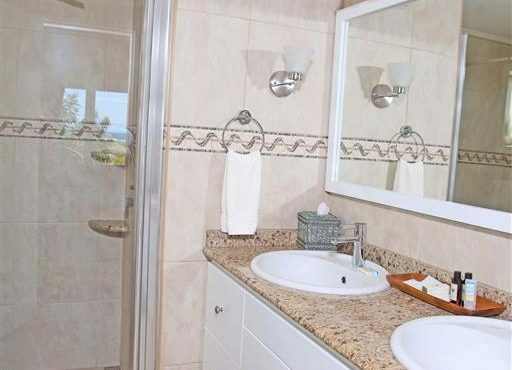 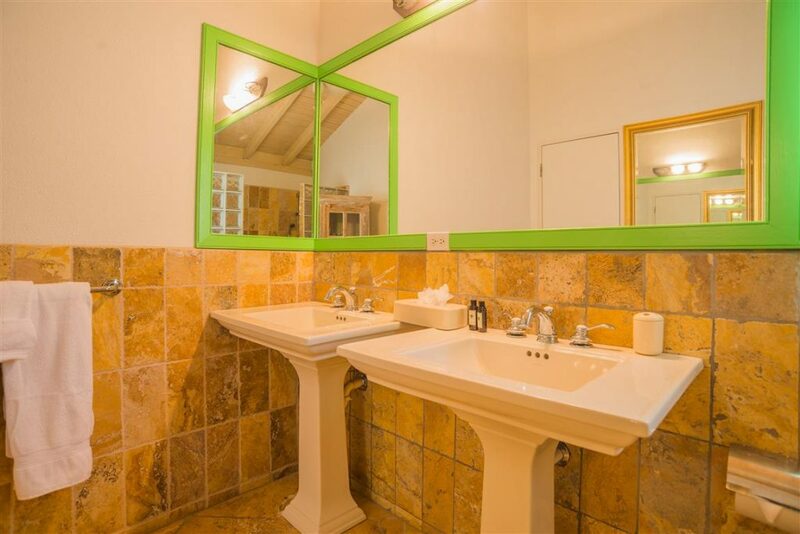 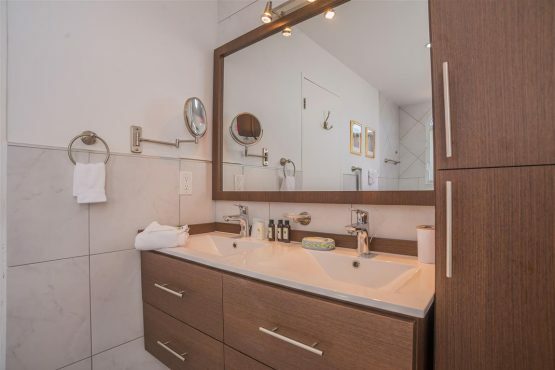 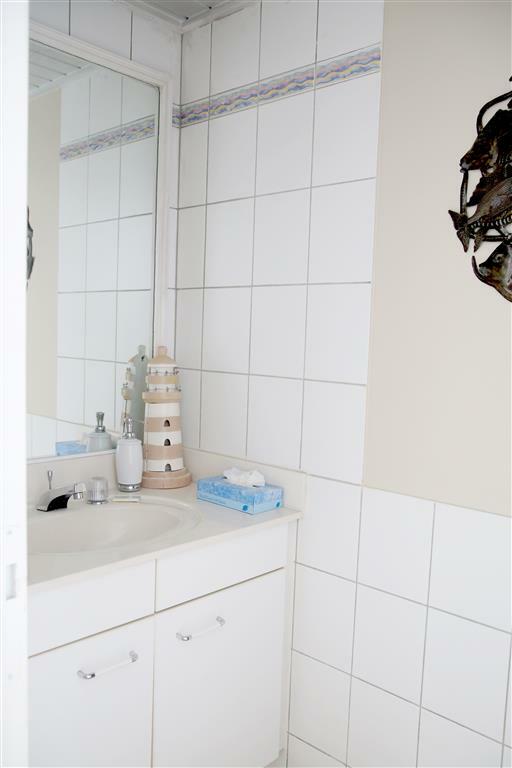 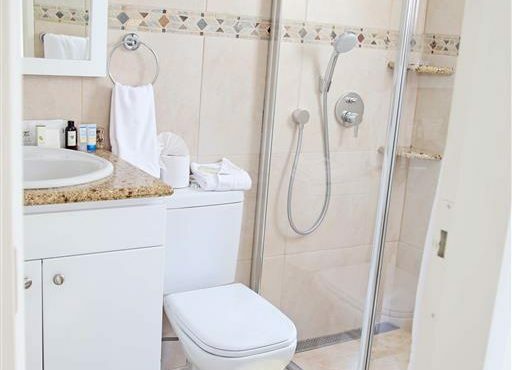 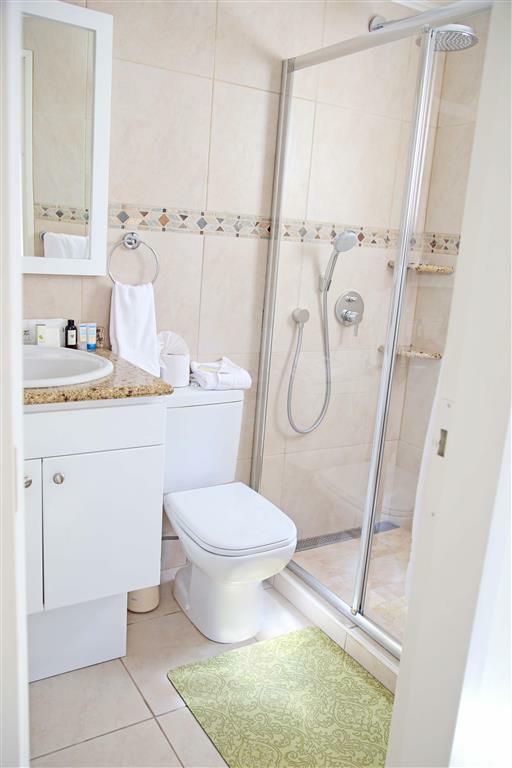 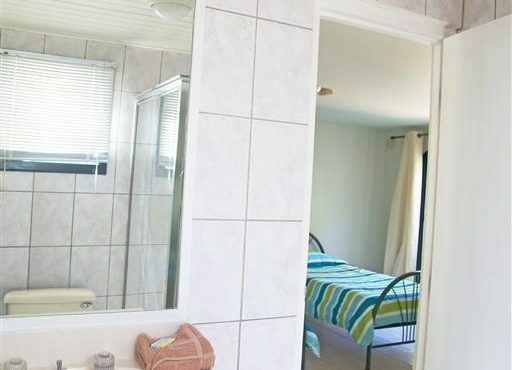 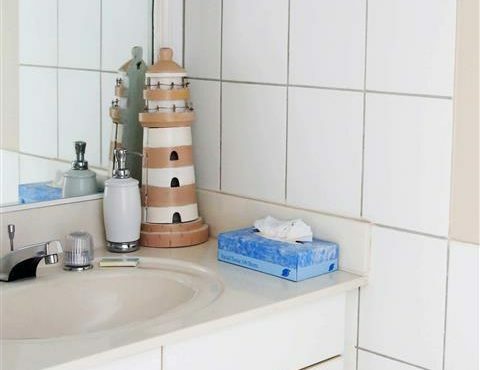 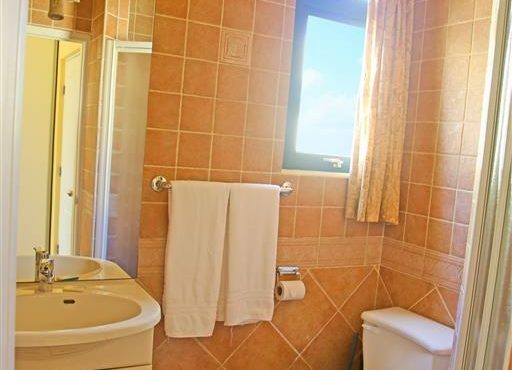 The guest bedrooms share a bathroom. The open living area has a fully appointed gourmet kitchen, a dining table for six, and a living room with views of the north coast. 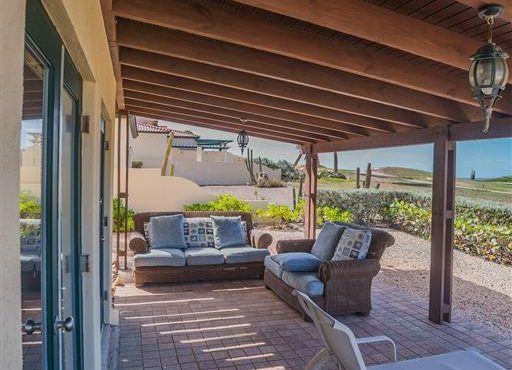 Outside, lounge or dine under a covered patio and enjoy the private pool. 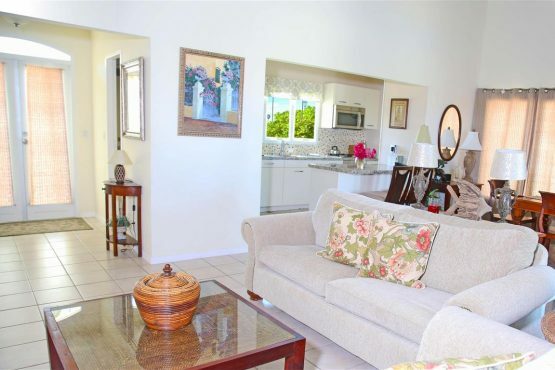 Enjoy the open floor plan of this 1,750 sq. 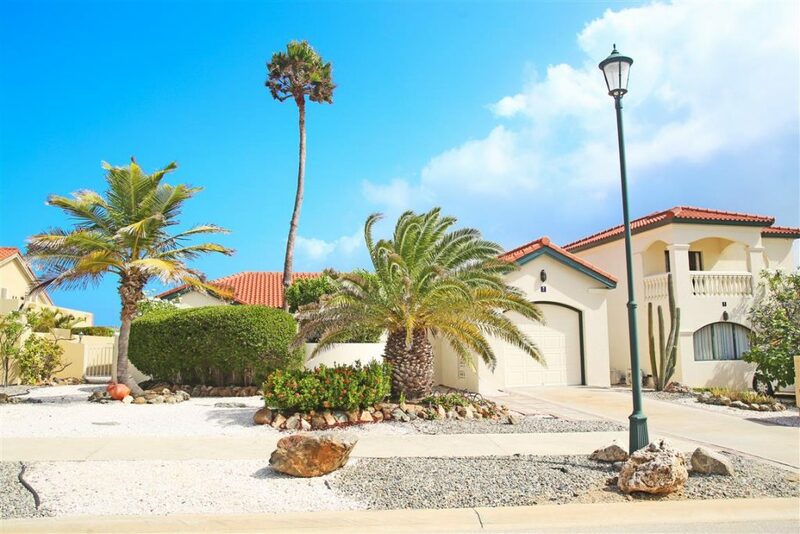 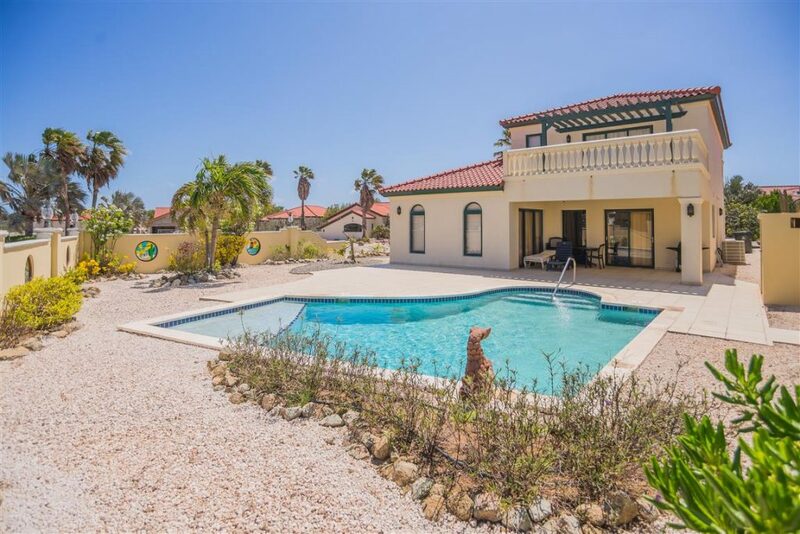 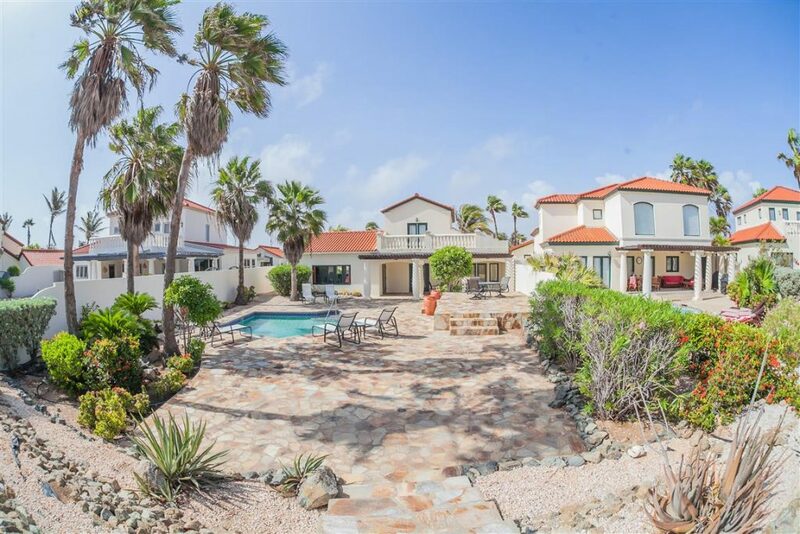 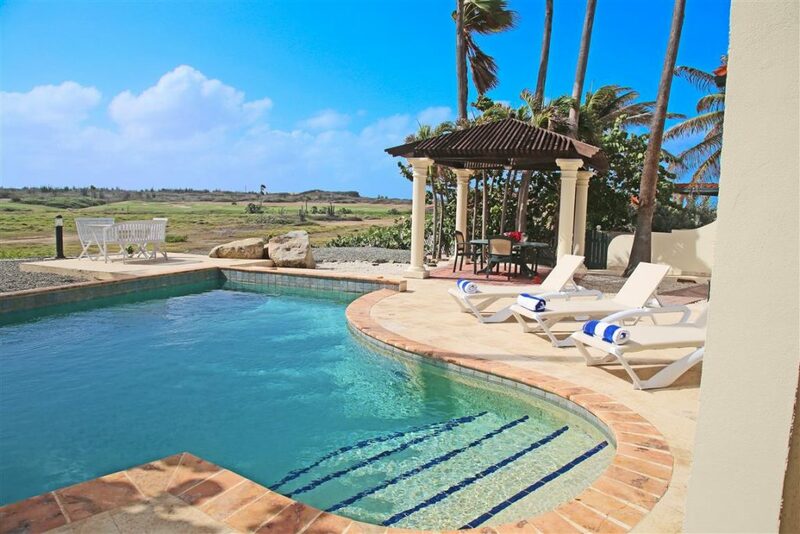 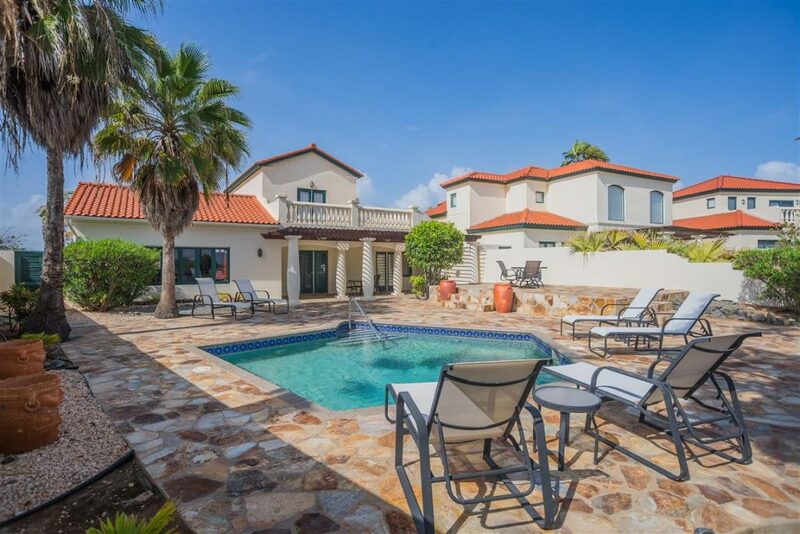 ft. Aruba vacation villa. The master bedroom has an en suite bathroom with double vanity, and a second bedroom features a queen bed and en suite bathroom. 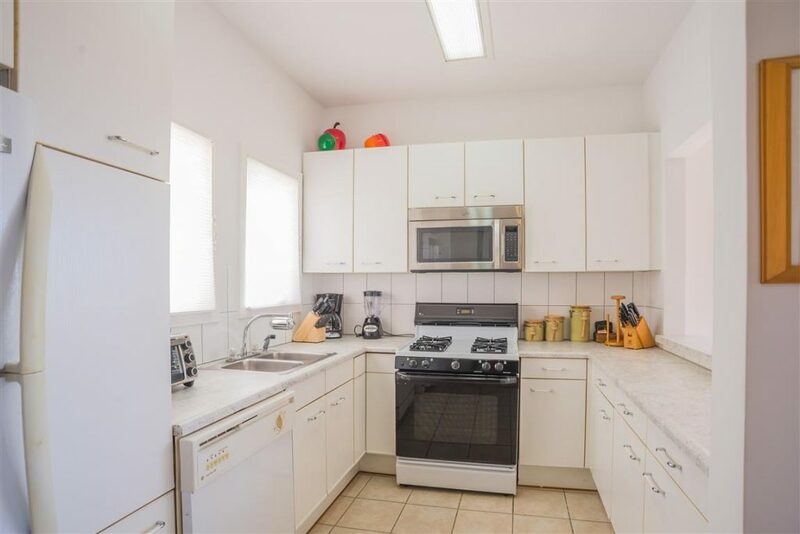 The kitchen was recently updated. 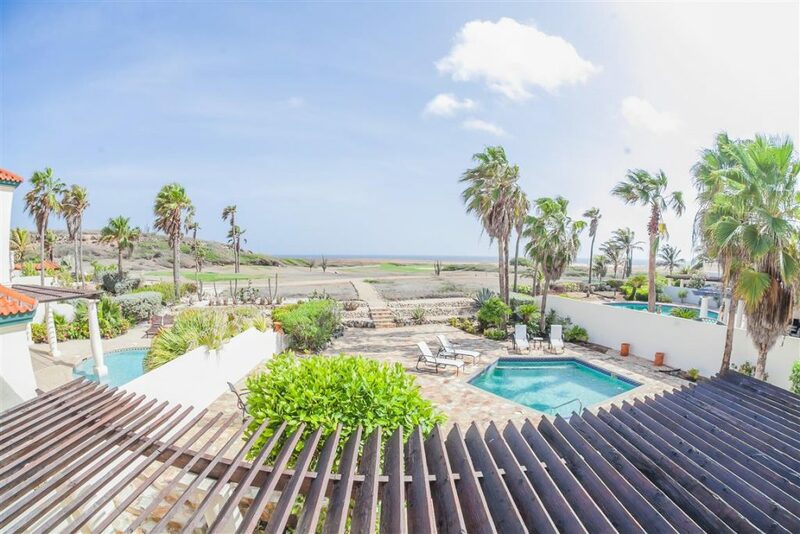 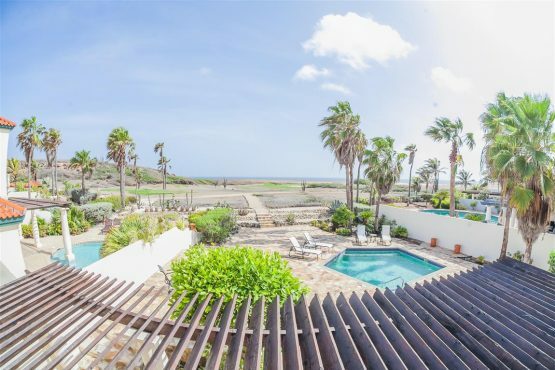 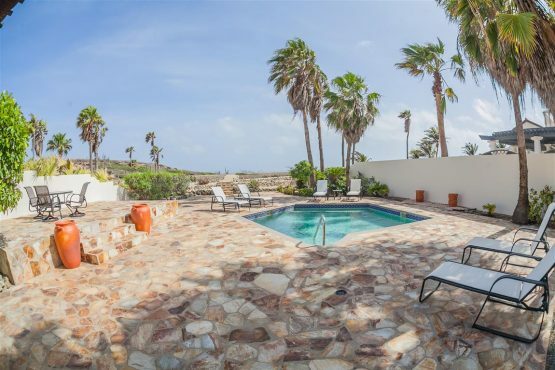 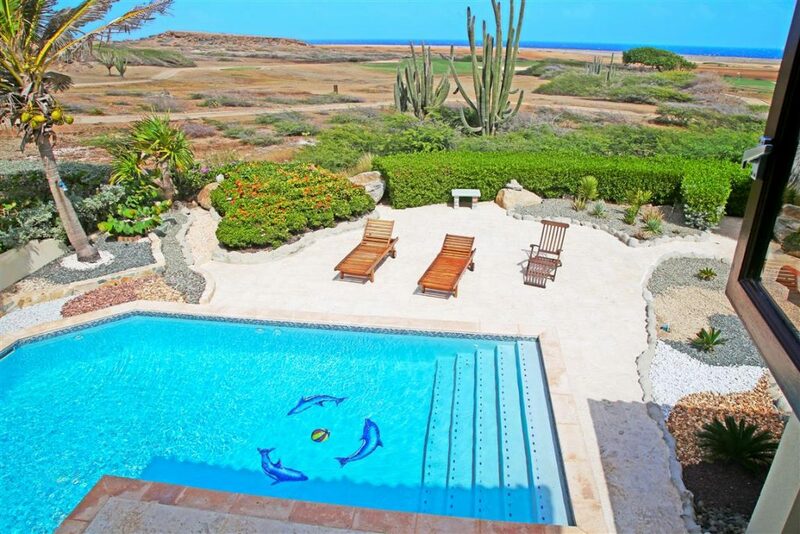 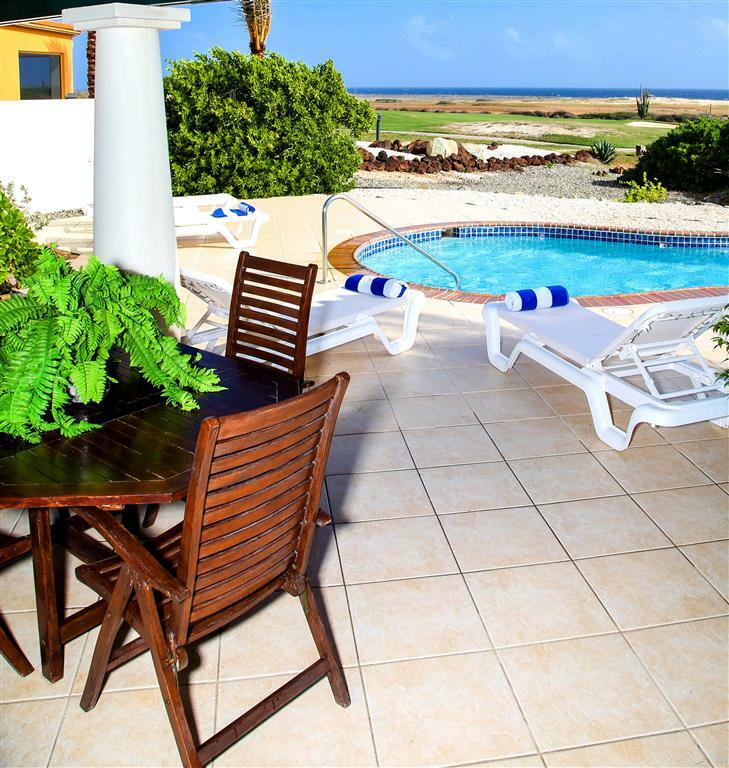 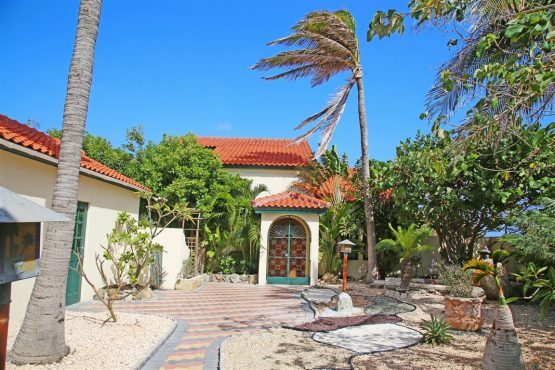 A beautifully landscaped patio with private pool and heated Jacuzzi offers stunning sunsets and endless views of the golf course and Caribbean Sea. 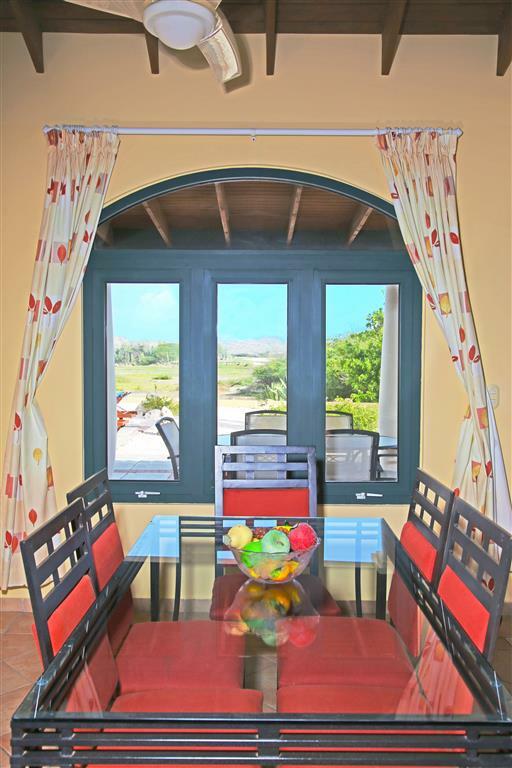 A covered terrace features a dining table and chairs. 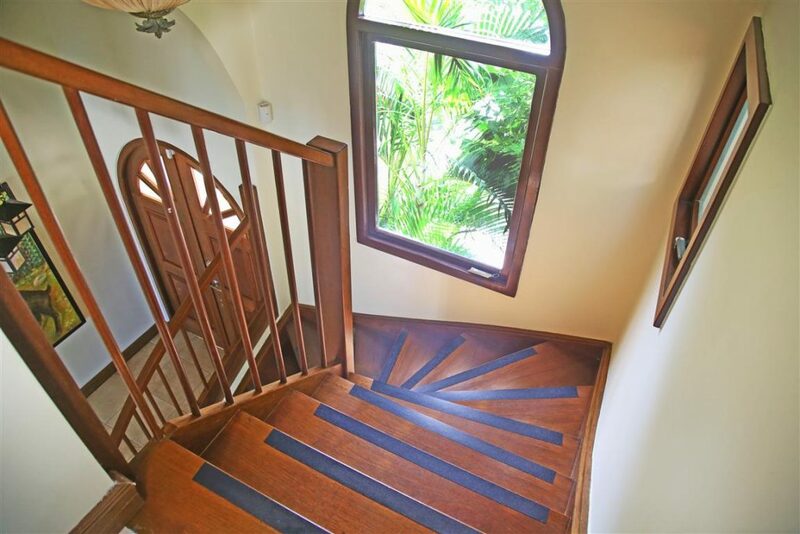 This two-story, open-plan villa, encompassing 1,950 sq. 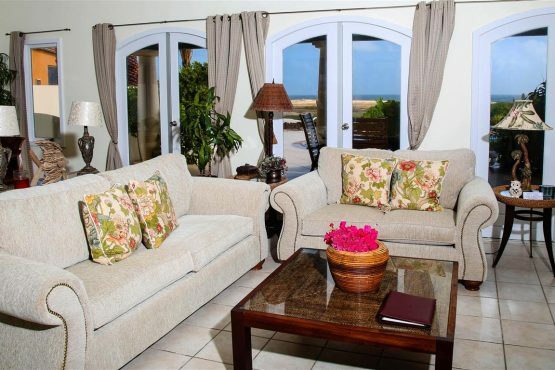 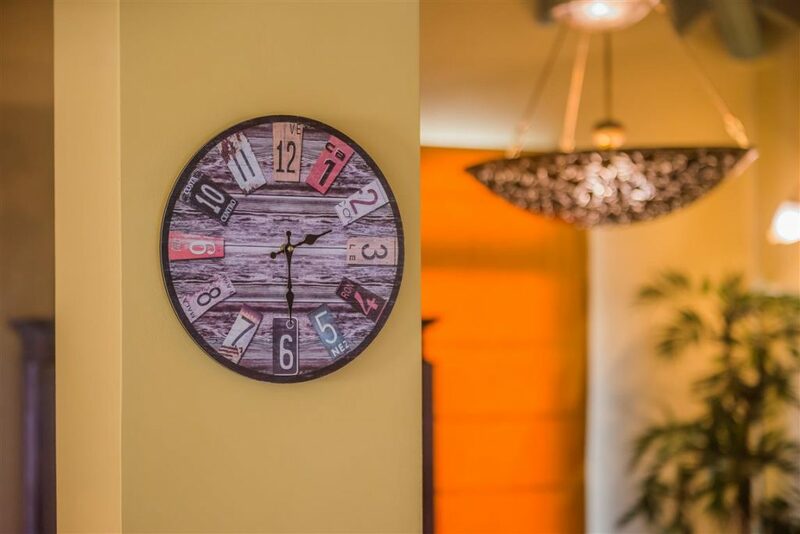 ft., is furnished in an updated European style. 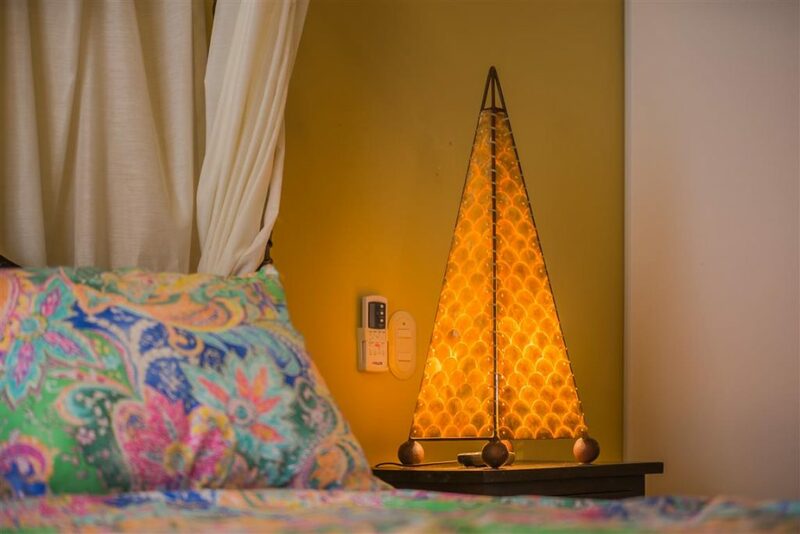 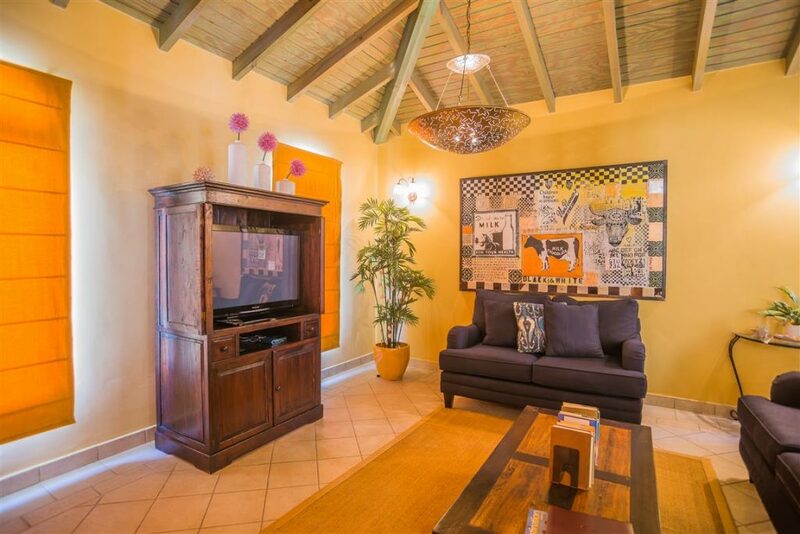 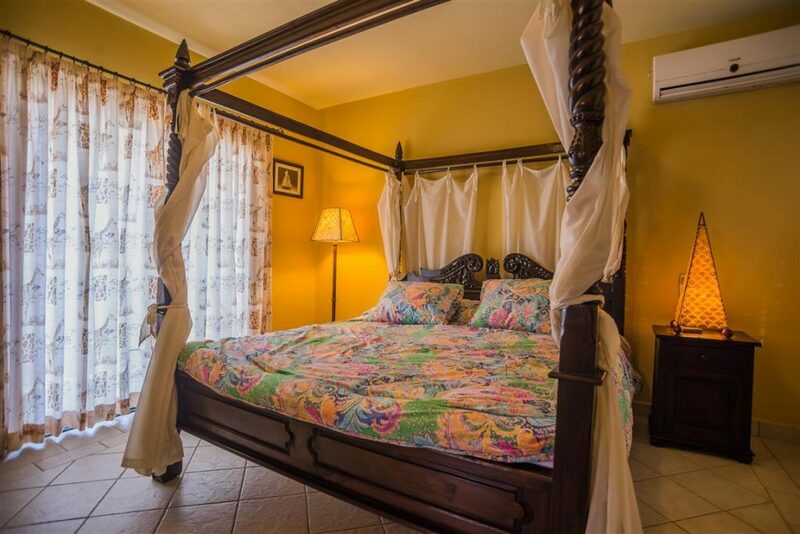 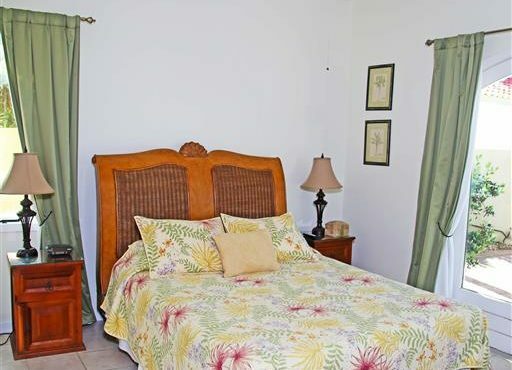 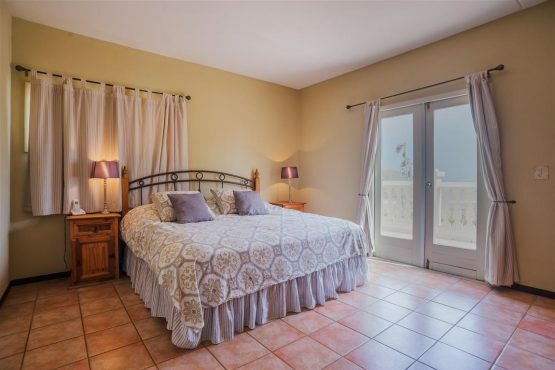 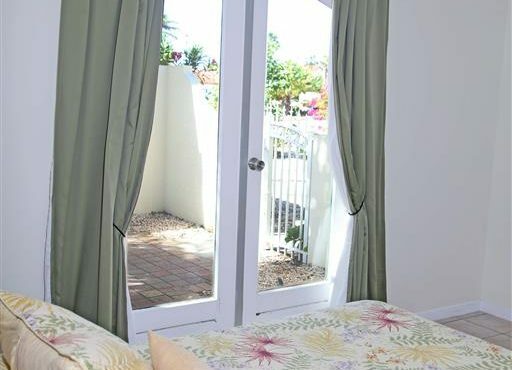 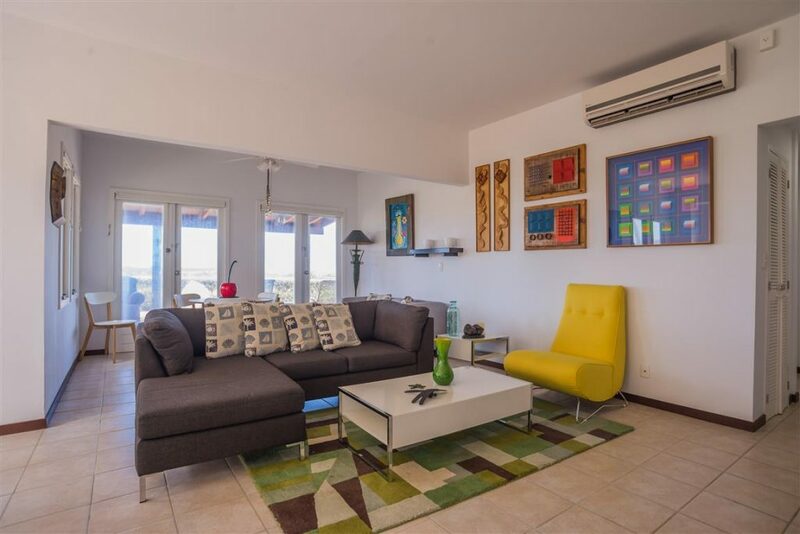 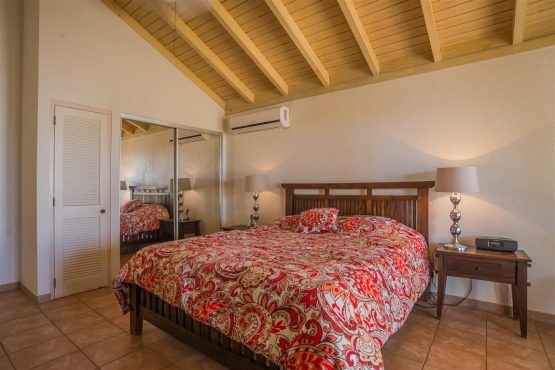 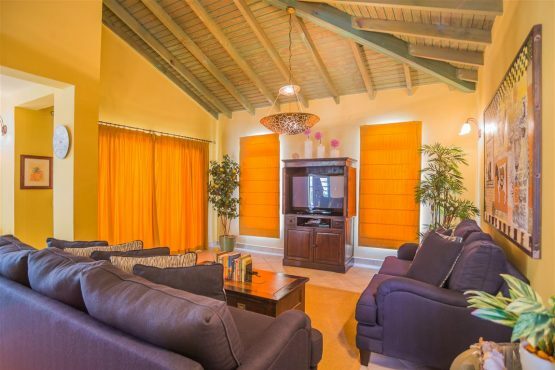 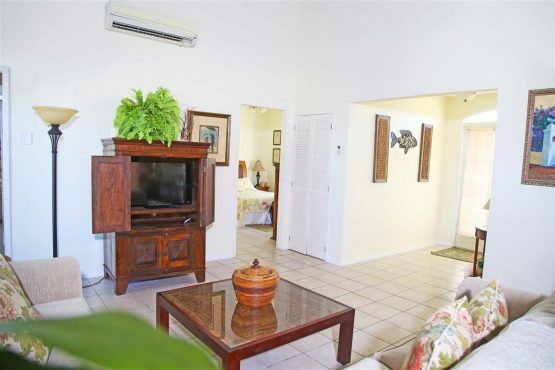 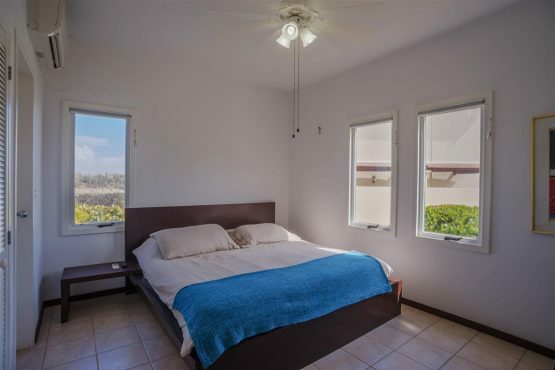 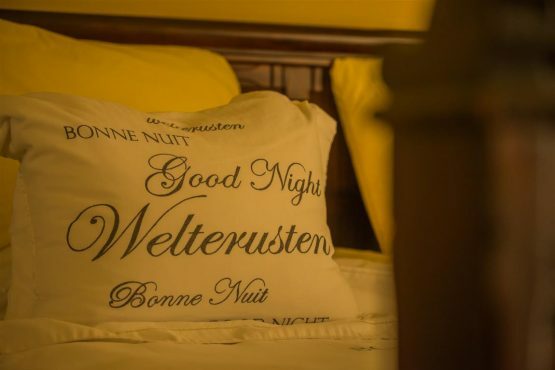 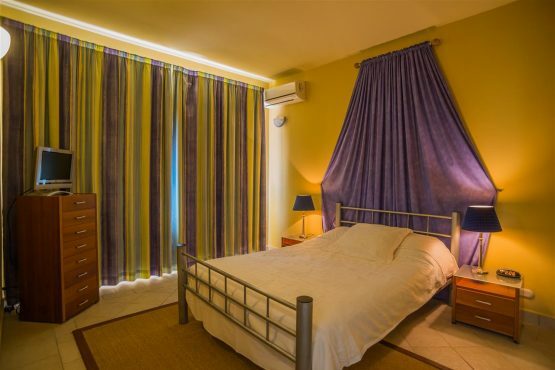 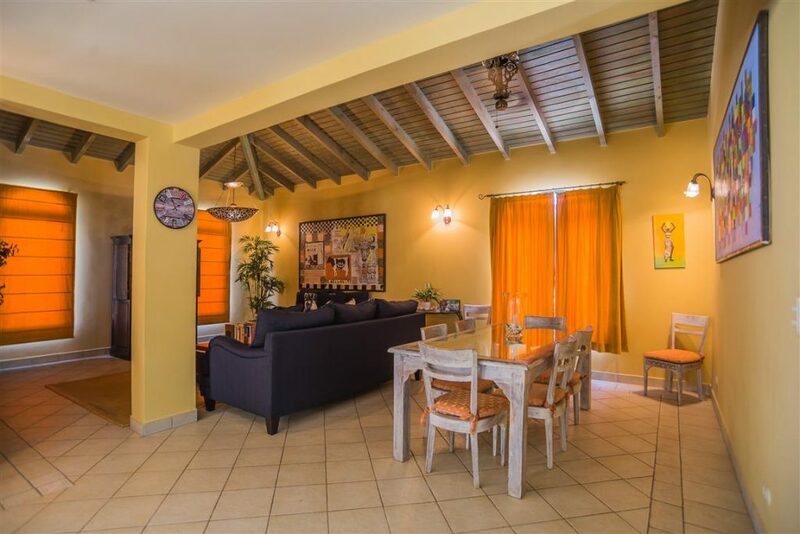 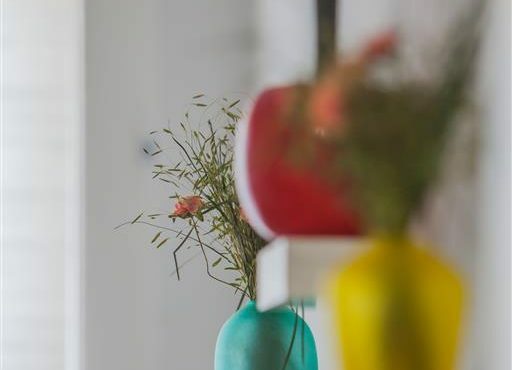 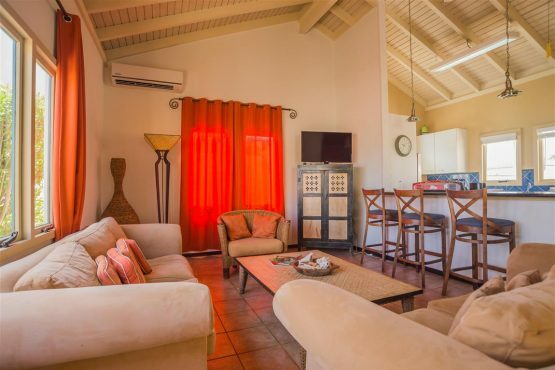 The master, located on the second floor, has a king bed and en suite contemporary bathroom, and features a private sundeck overlooking the Caribbean Sea and golf course. 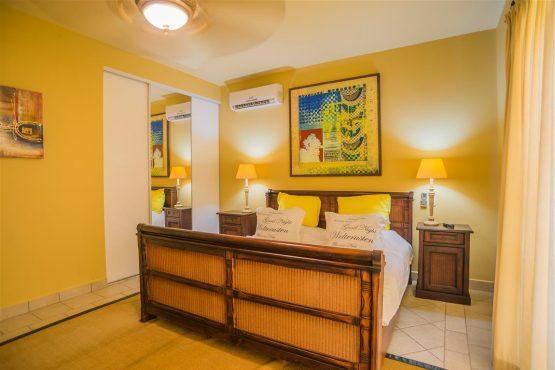 Two guest bedrooms are located on the first floor, each with a queen bed and modern bathroom. 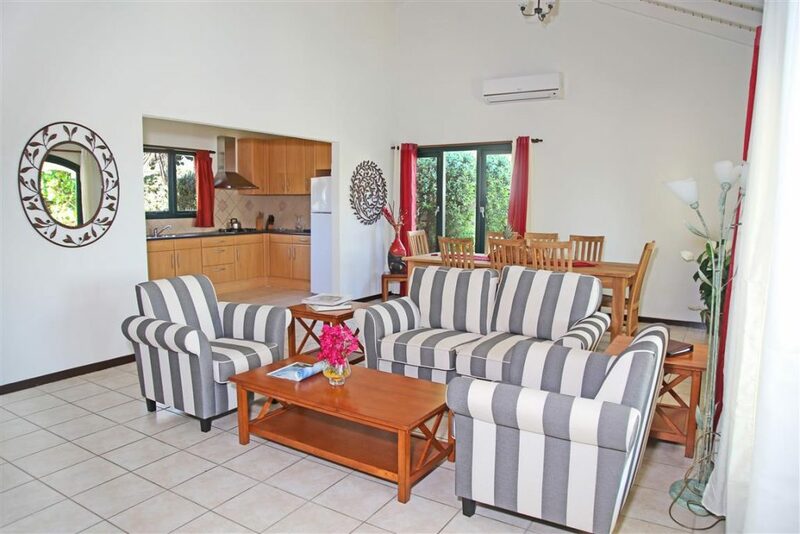 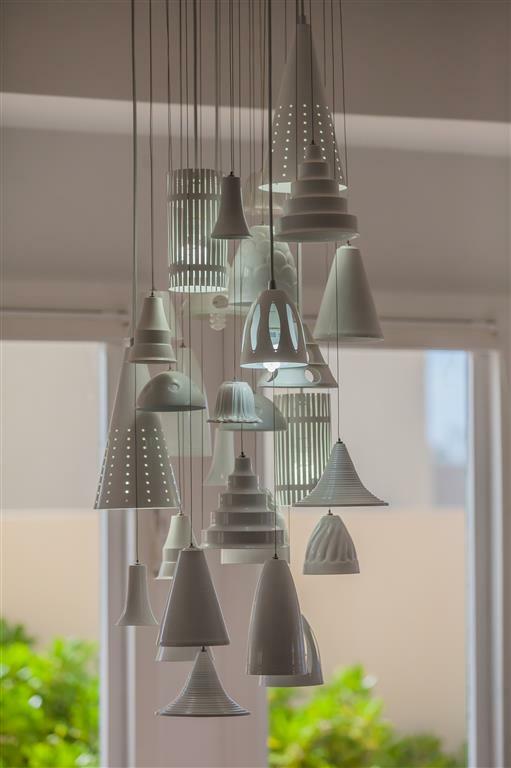 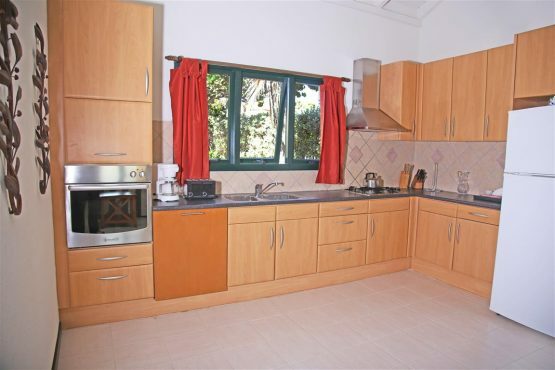 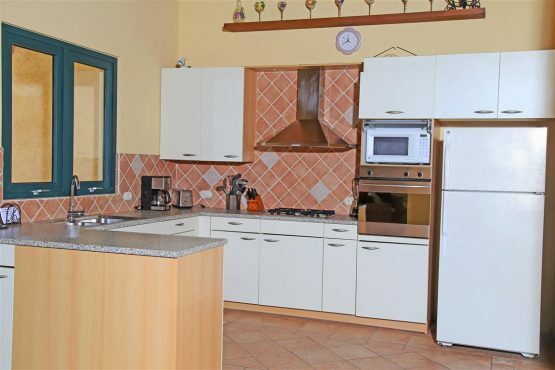 The fully equipped kitchen opens onto a separate dining area with seating for six. 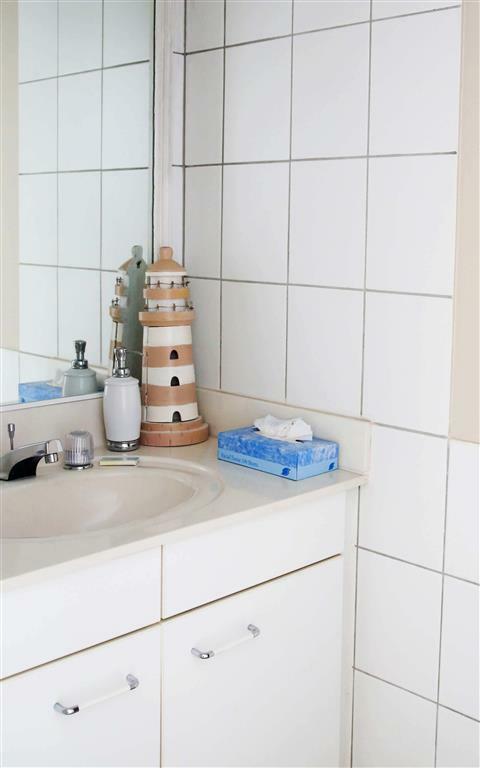 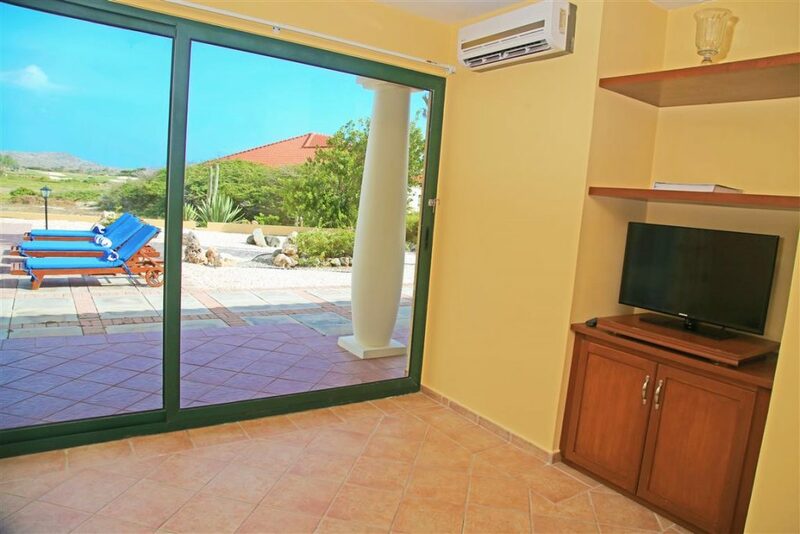 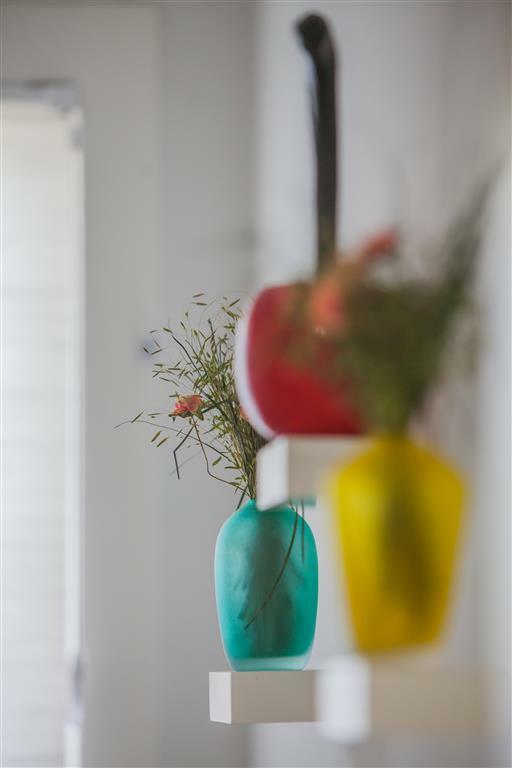 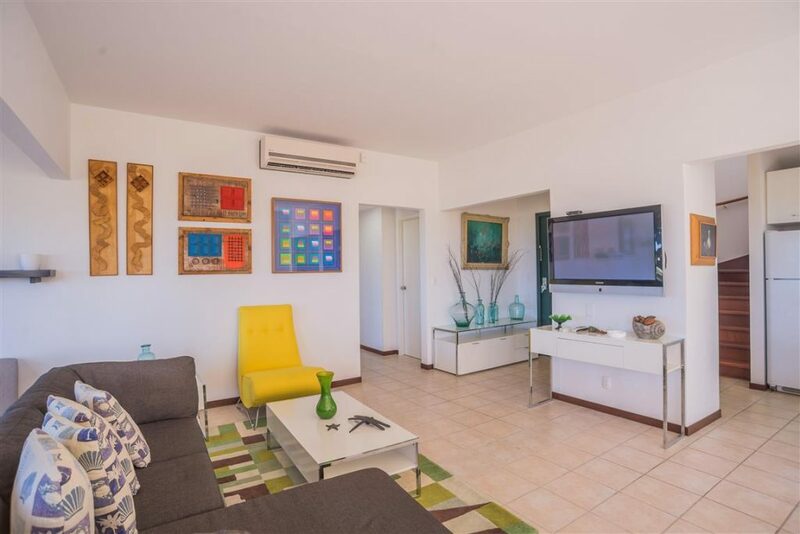 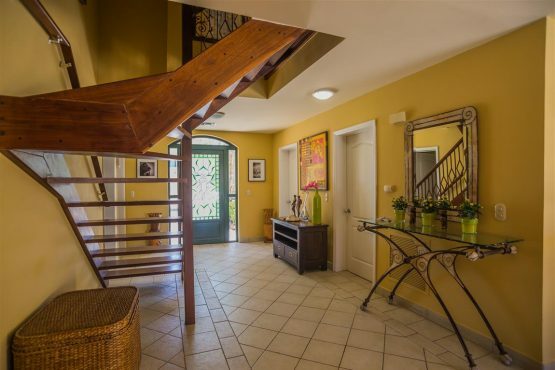 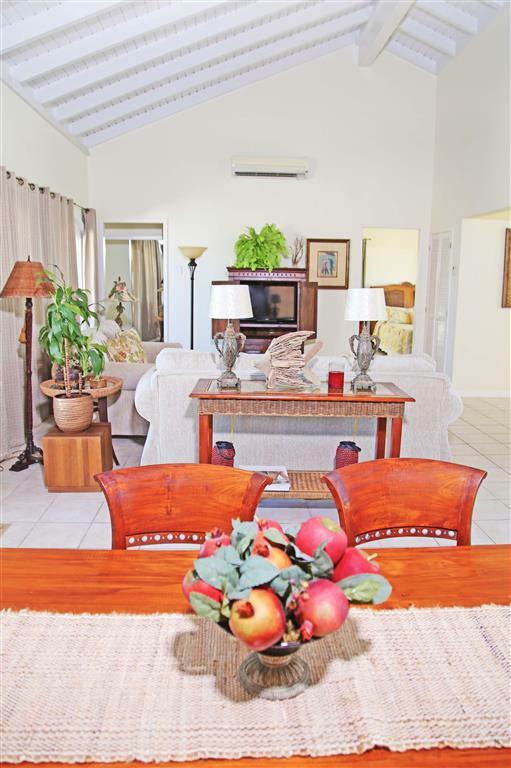 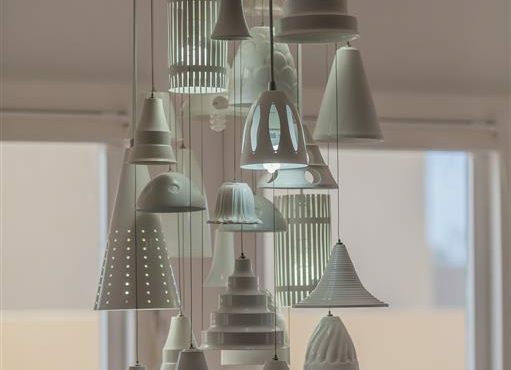 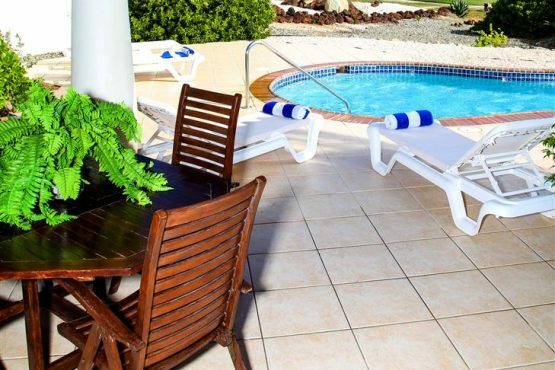 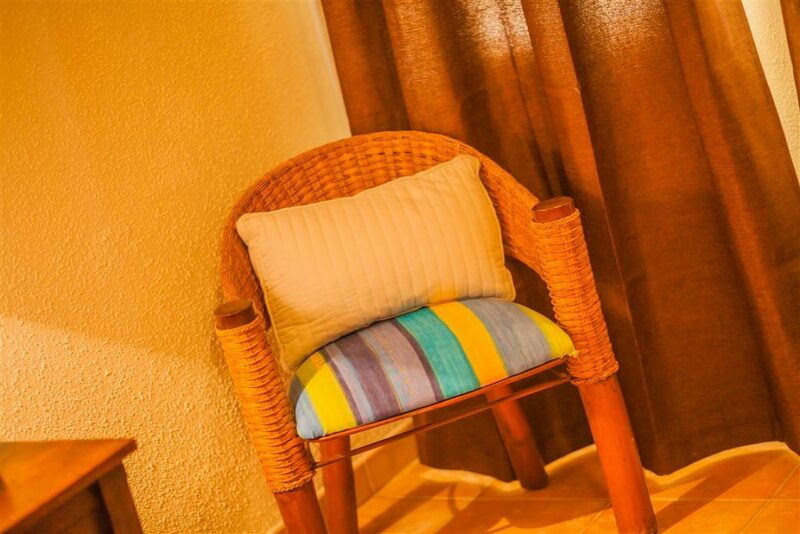 Outside, there is a beautifully landscaped garden and covered, furnished terrace. 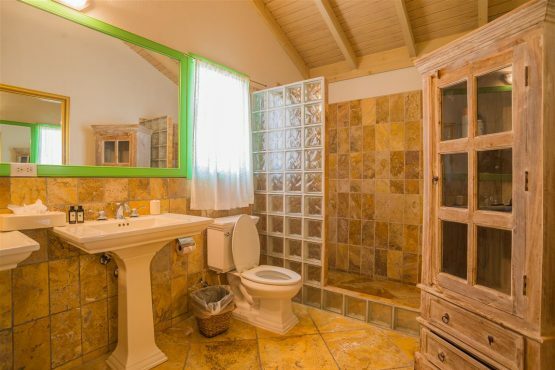 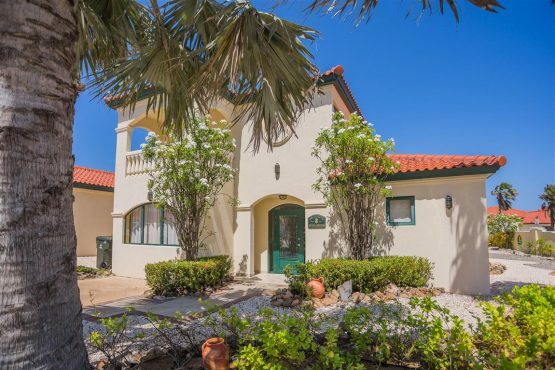 This one-story, 1,950 sq. 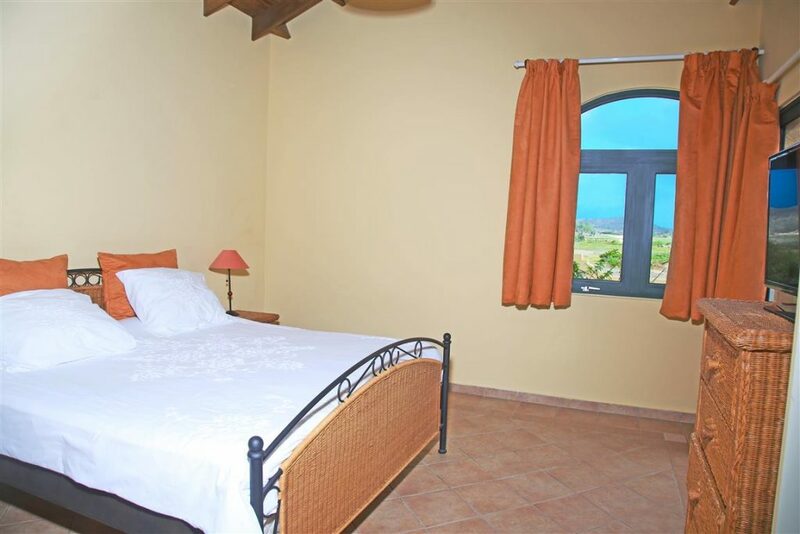 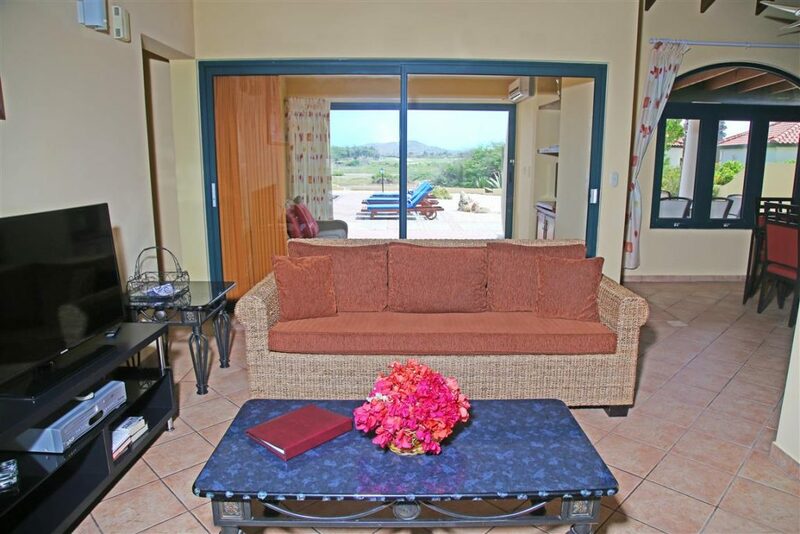 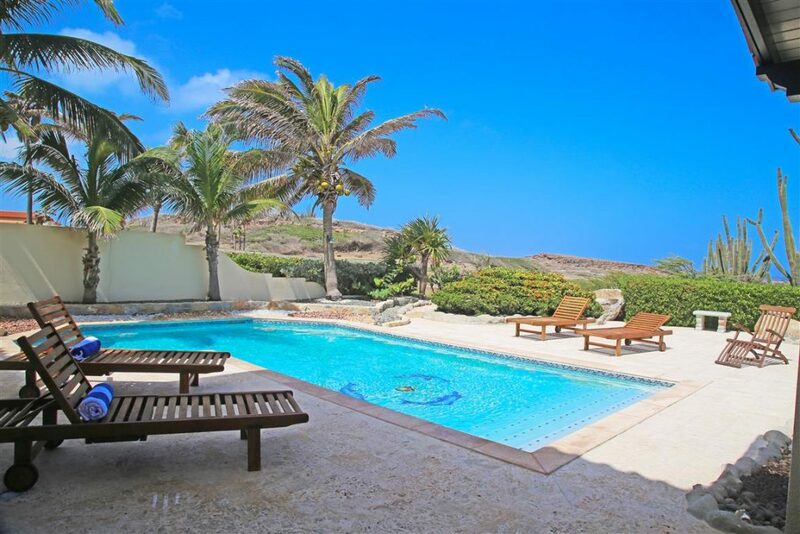 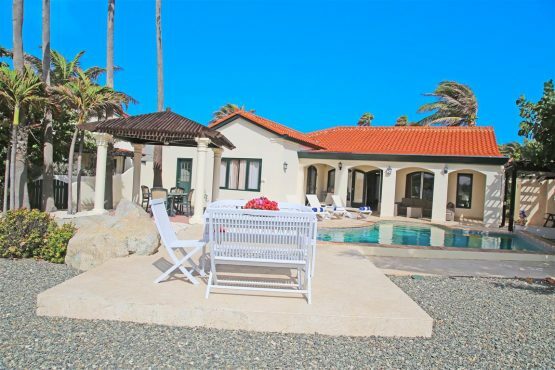 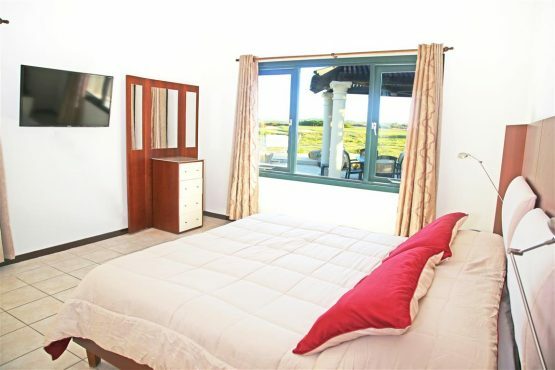 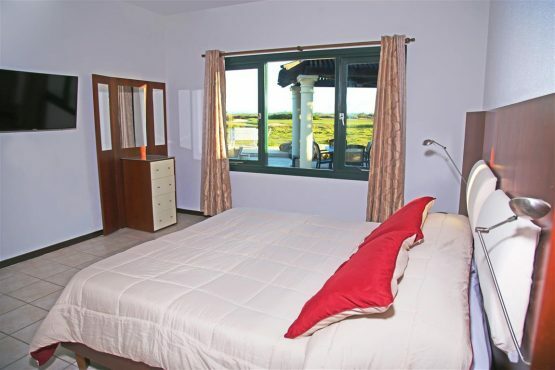 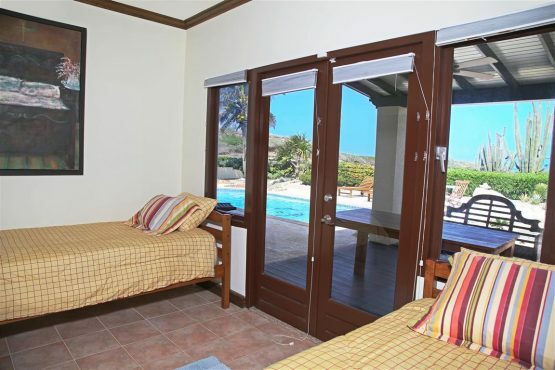 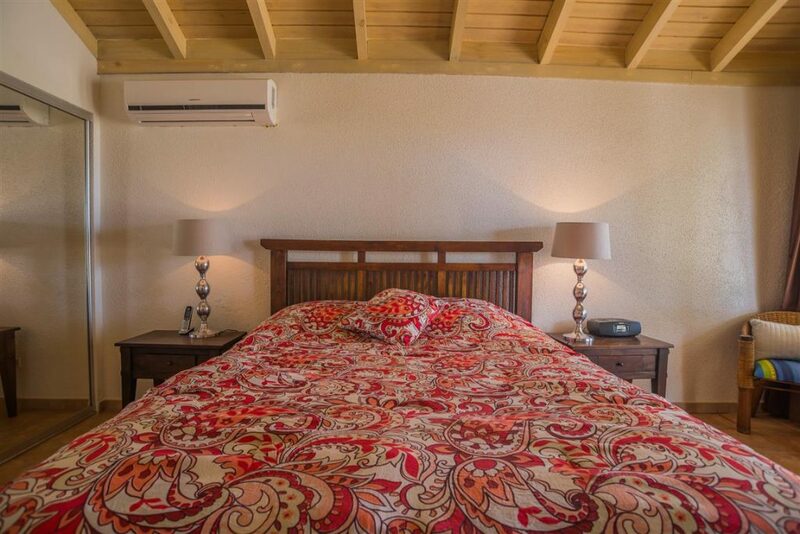 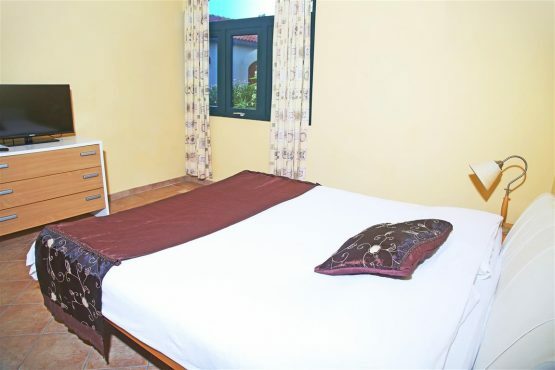 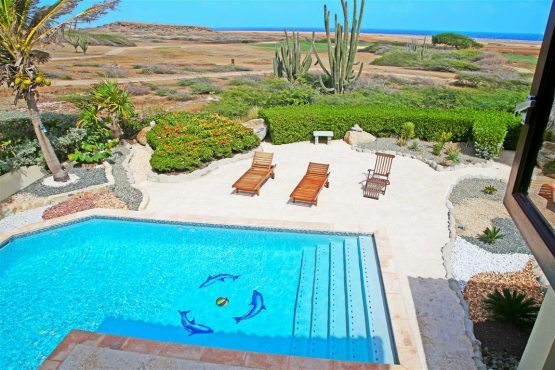 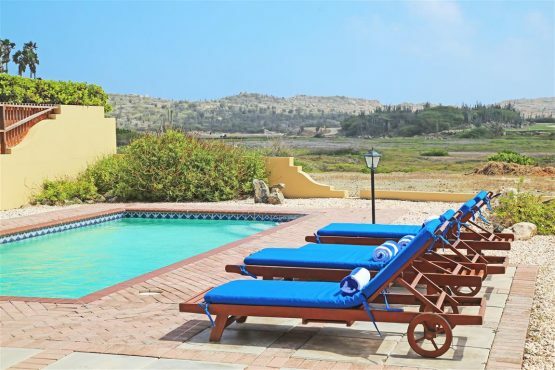 ft. villa has a master suite furnished with a king bed and en suite with tub and shower, and a patio. The second bedroom features a queen bed and en suite bathroom. 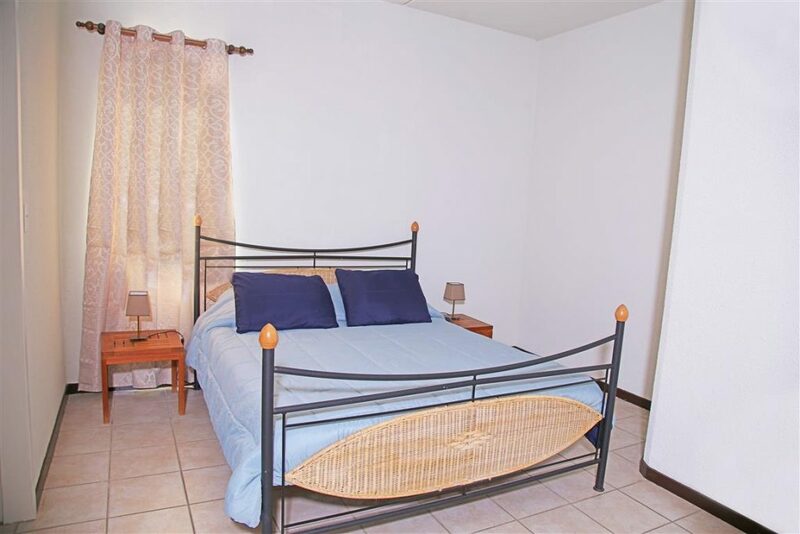 The third bedroom features two twin beds with an en suite bathroom. 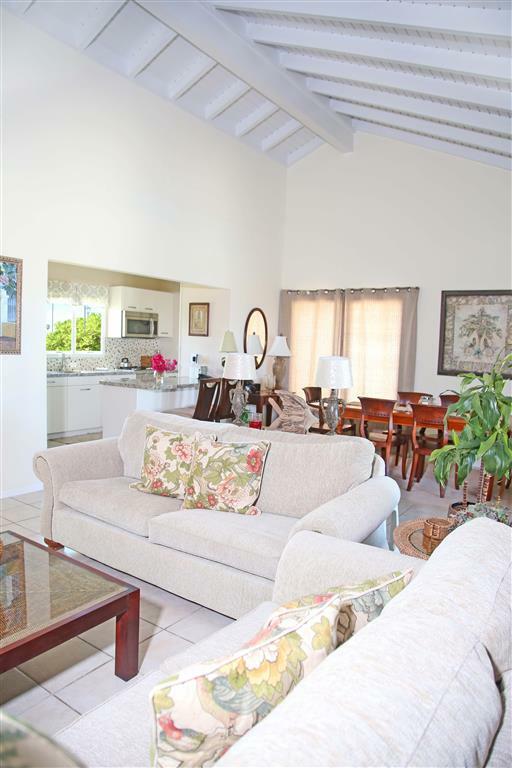 The main living area is open and spacious, featuring a vaulted ceiling and a fully equipped kitchen. 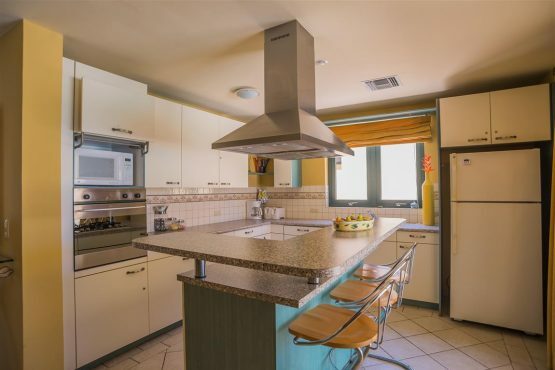 A separate dining area seats six. 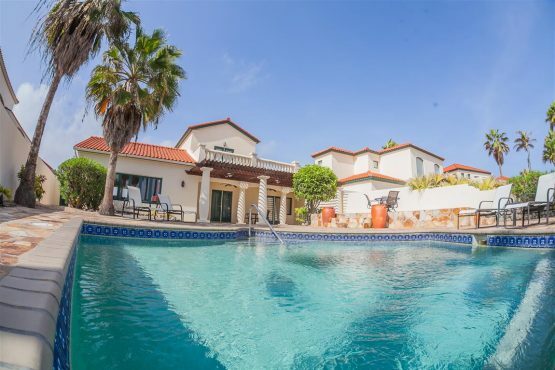 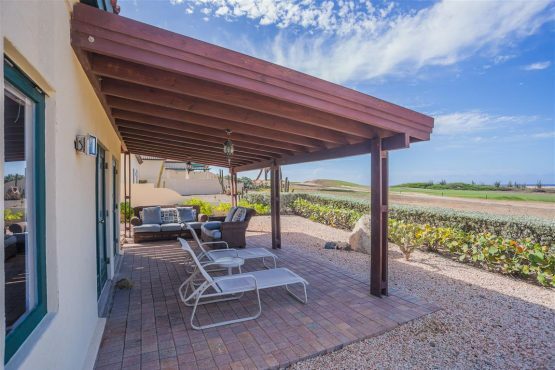 The outside environs offer a swimming pool, covered terrace, and gazebo with a tranquil backdrop of the golf course and protected nature preserve. 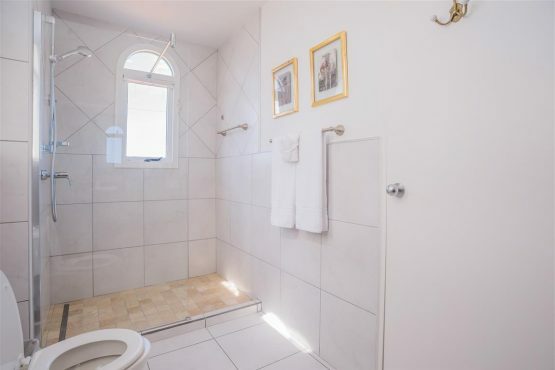 This one-story, 1,750 sq. 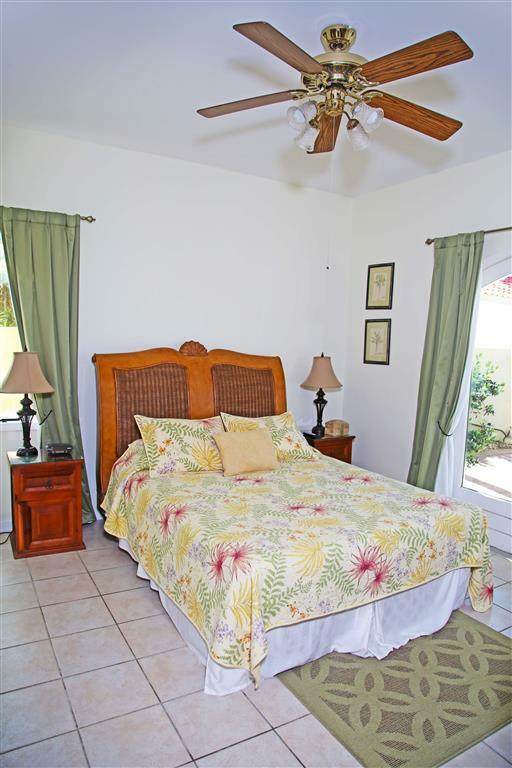 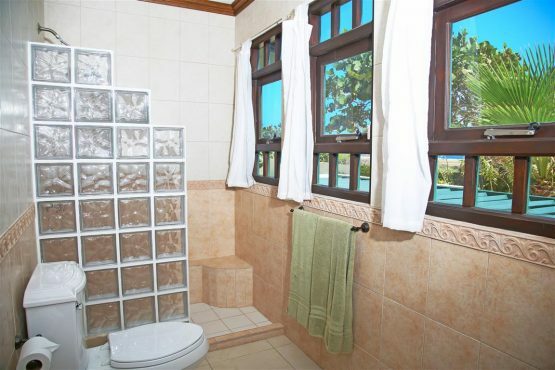 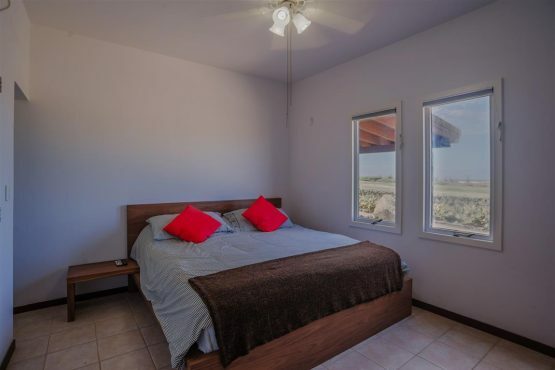 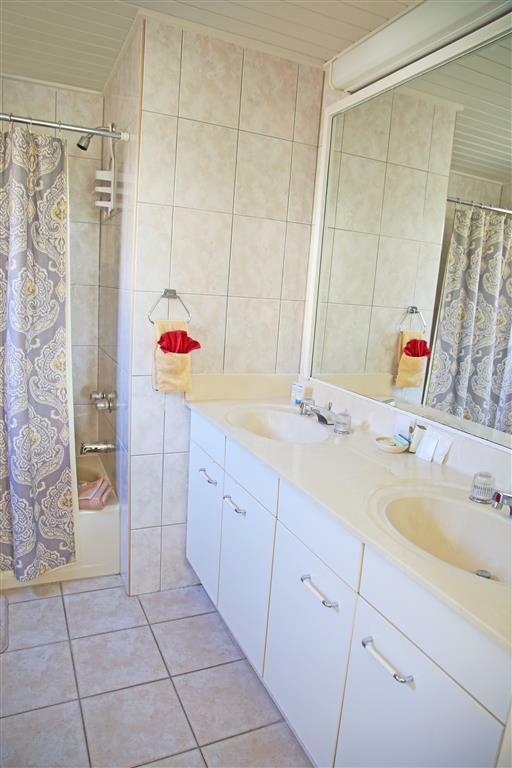 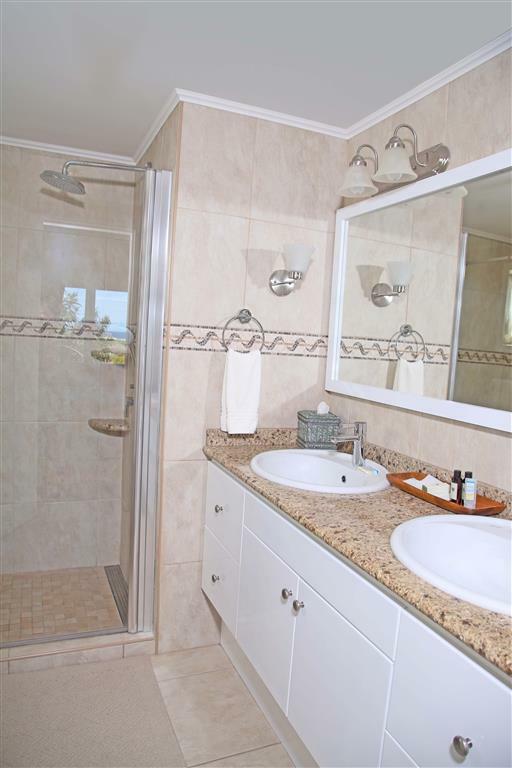 ft. villa has a master suite that features a king bed and en suite bathroom with a corner soaker tub and walk-in shower. 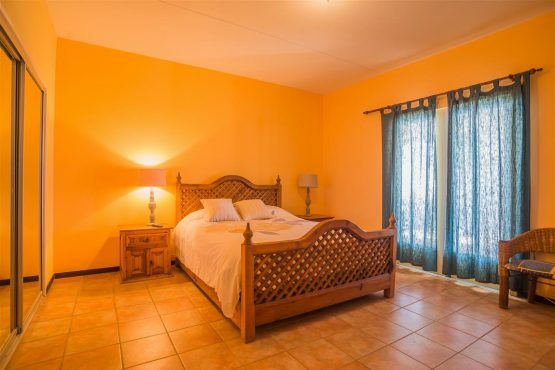 The second and third guest bedrooms feature a queen bed and en suite bathrooms. 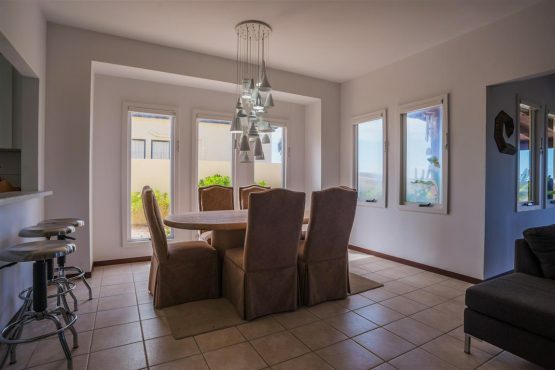 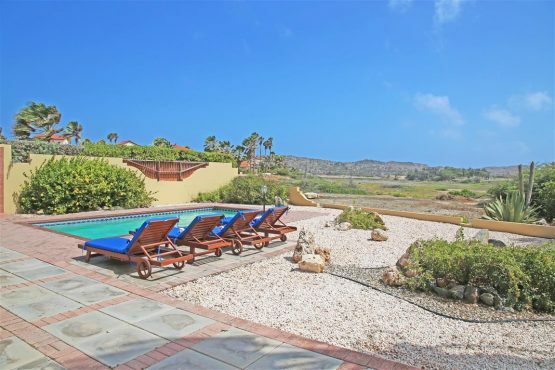 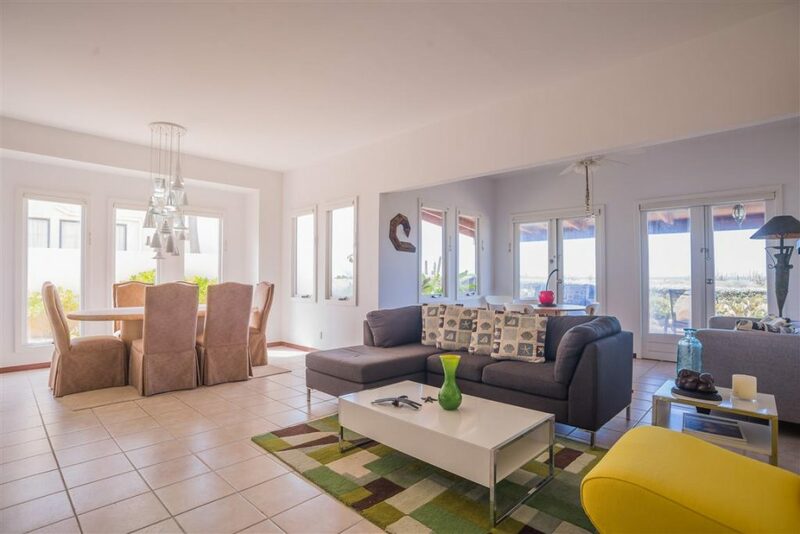 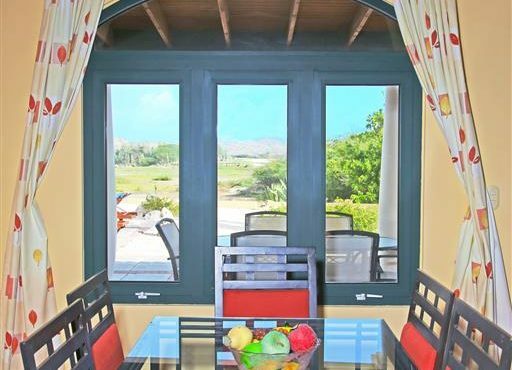 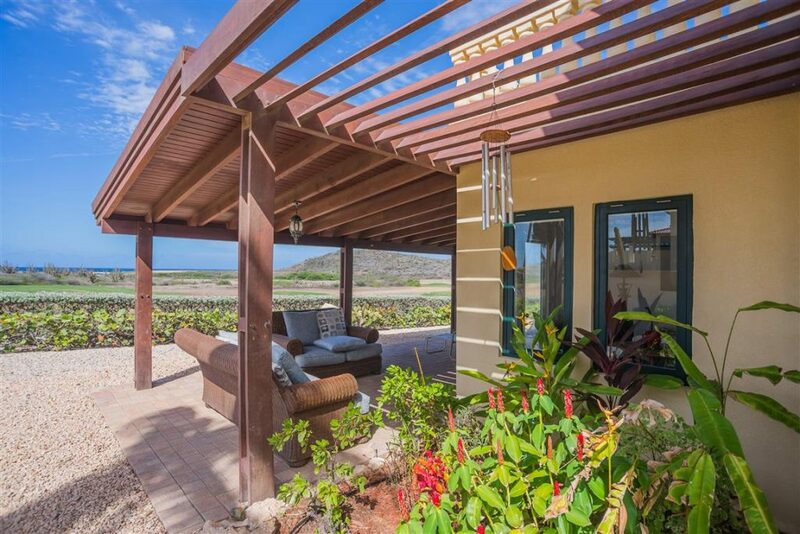 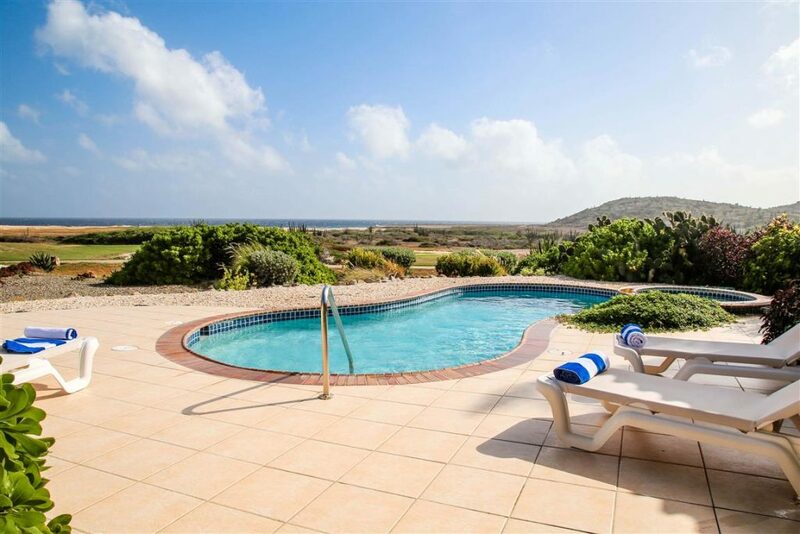 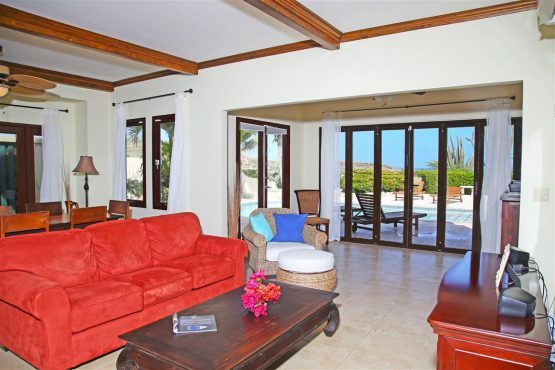 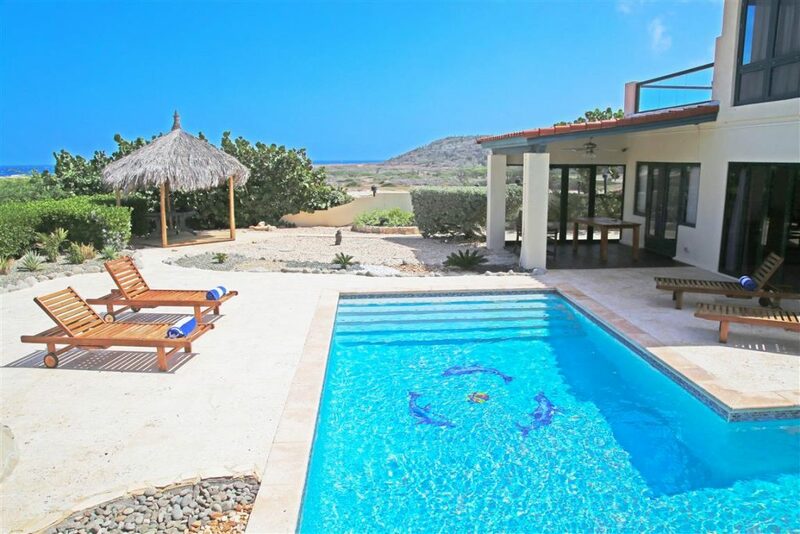 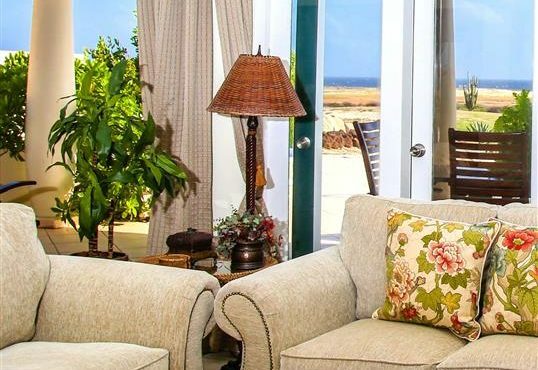 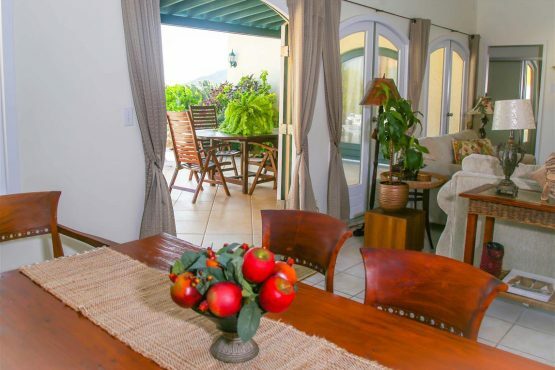 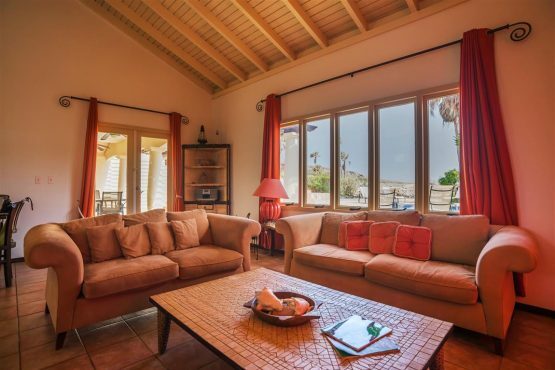 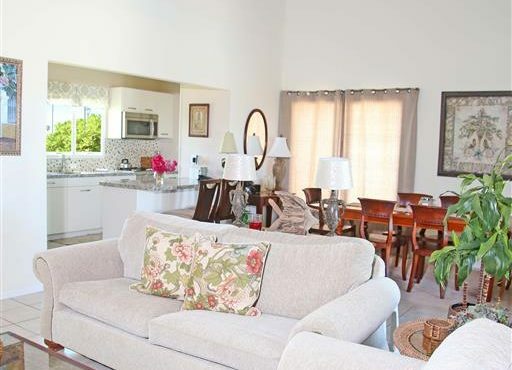 The open living area has a fully appointed kitchen that has floor-to-ceiling patio doors offering an expansive view of the backyard, golf course, and majestic north coast of the island. The dining table seats six, and there is room to relax in both the living room and study. 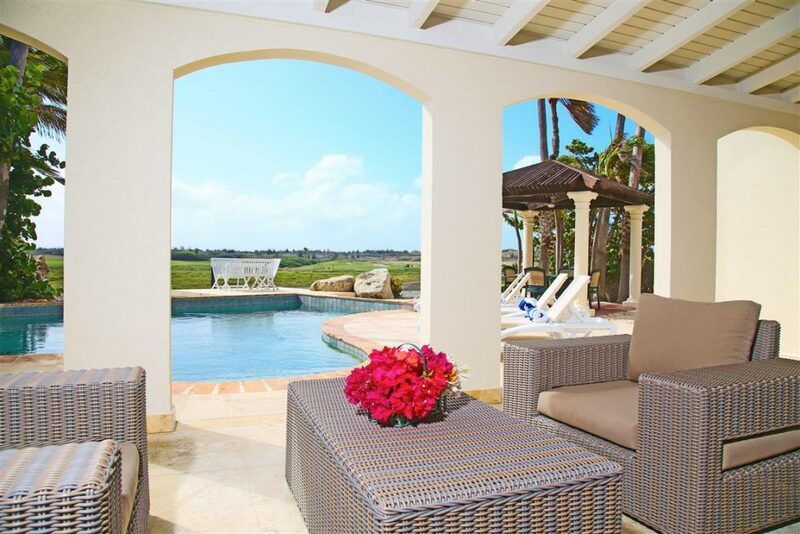 The outside living space includes a private pool and shaded terrace. 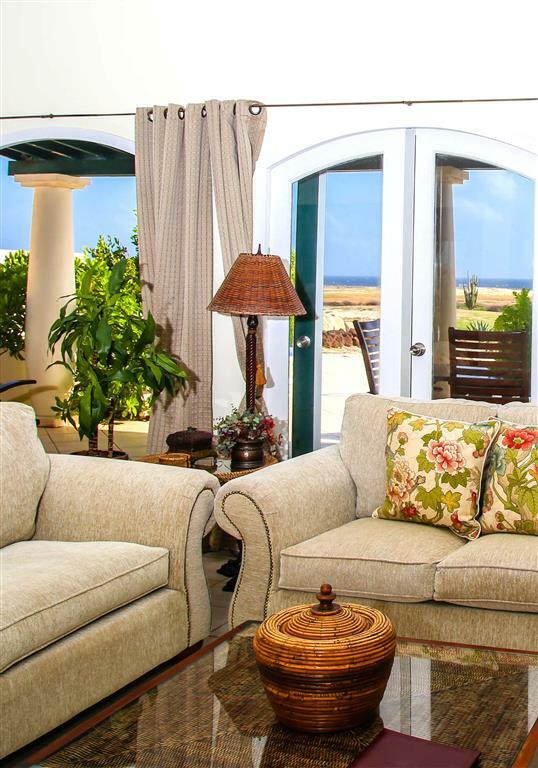 This four-bedroom, 1,850 sq. 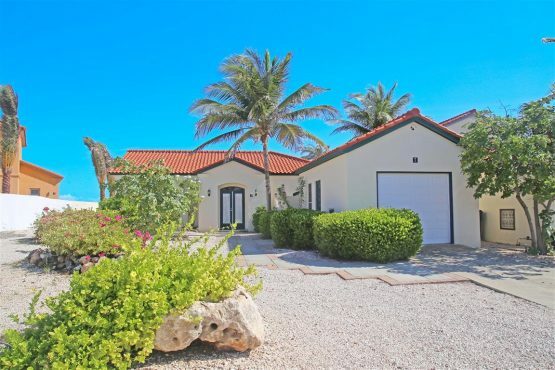 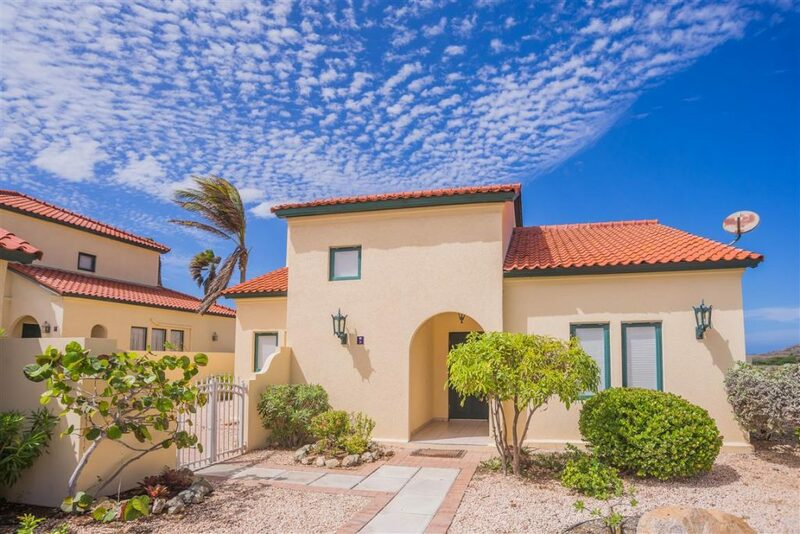 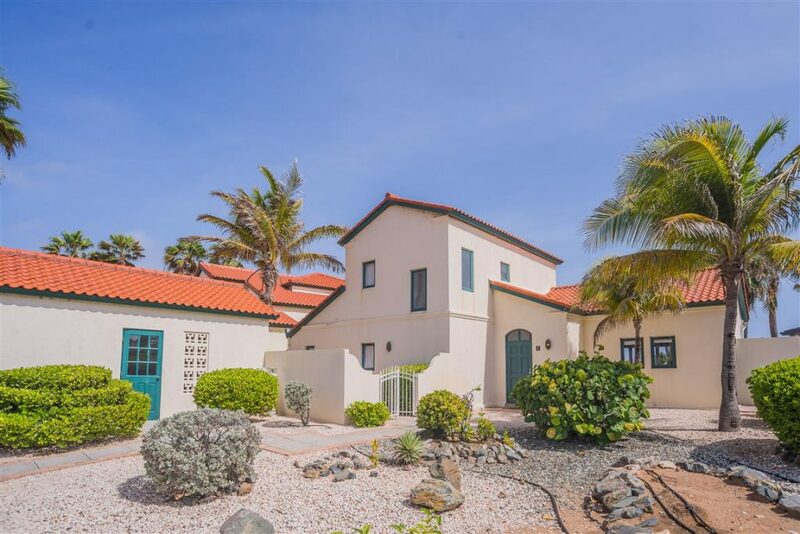 ft., two-story villa features two master king beds suites on the second floor, each with an en suite bathroom and private sundeck boasting beautiful views of the golf course and nature preserve. 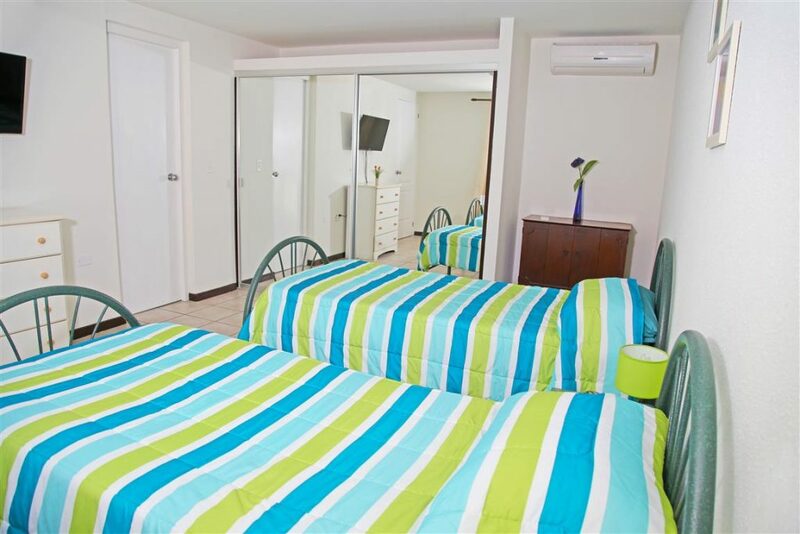 Two other spacious guest bedrooms each have queen beds and share a full bathroom. 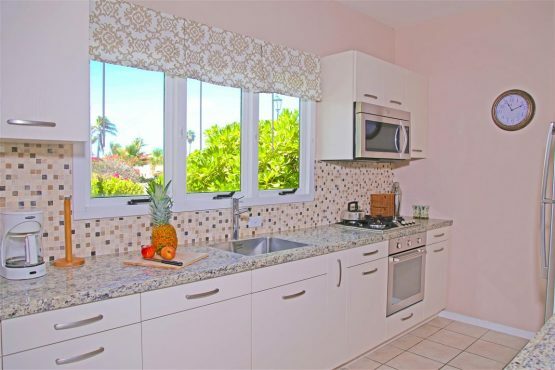 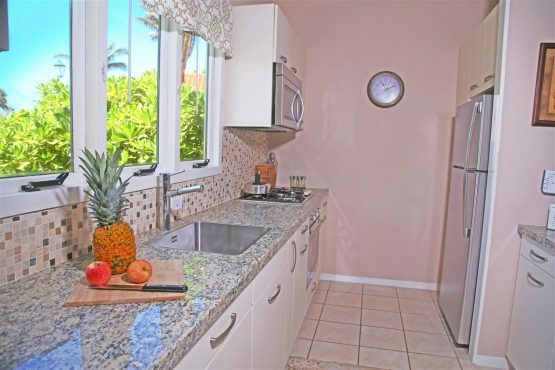 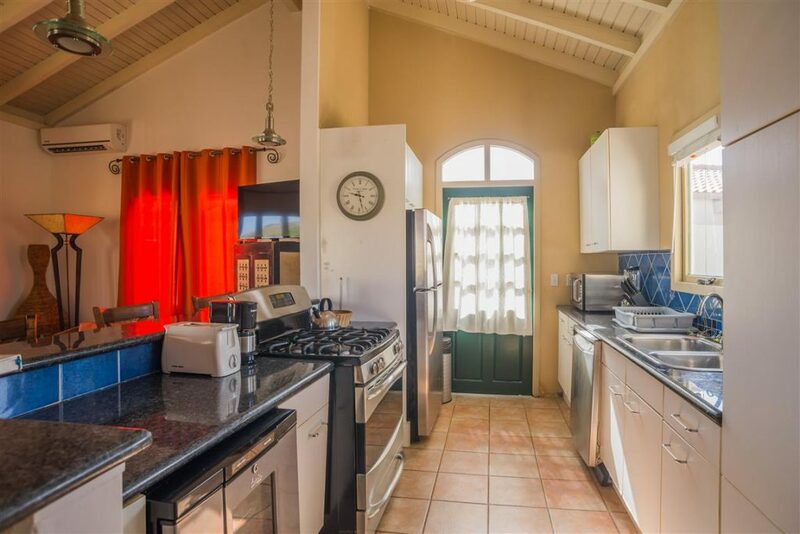 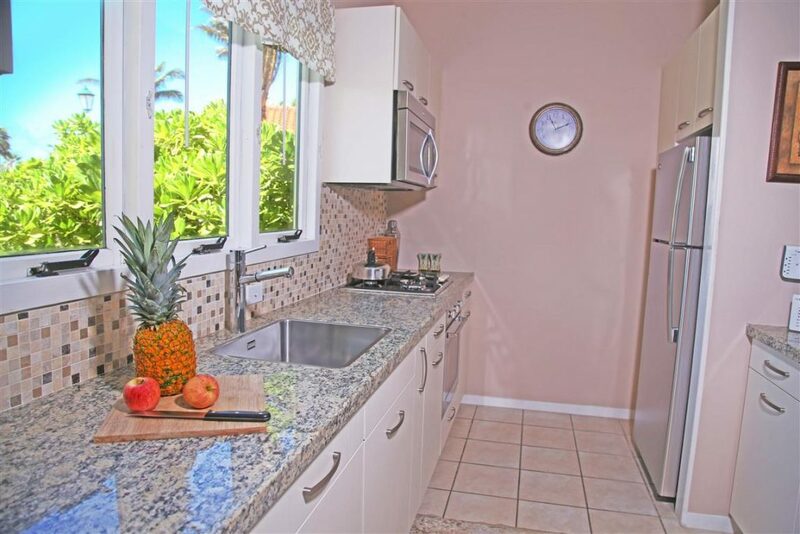 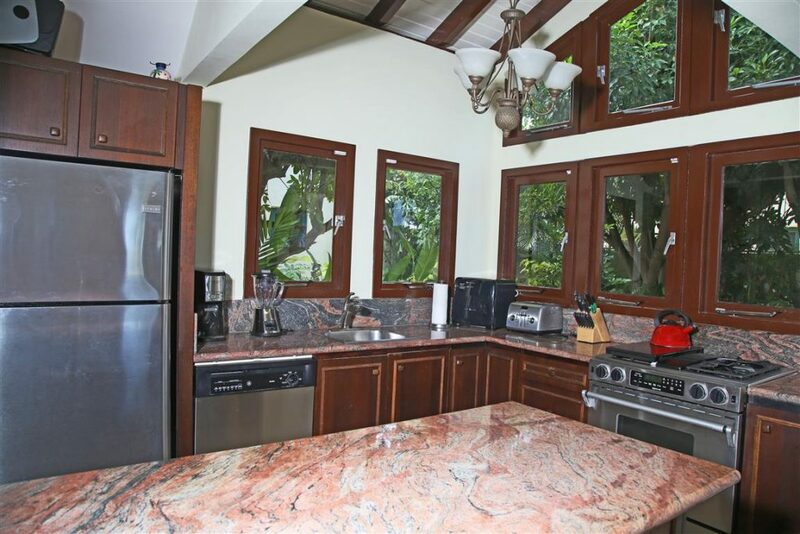 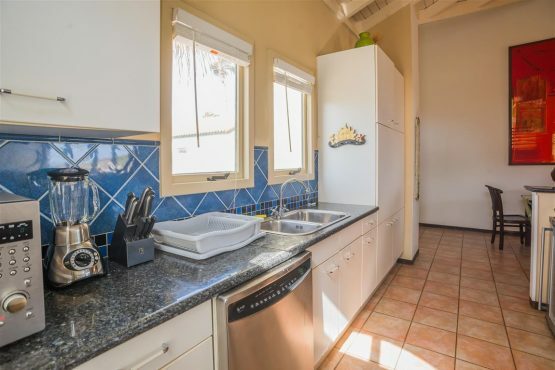 A fully equipped kitchen has a breakfast bar, and the dining area has seating for six. 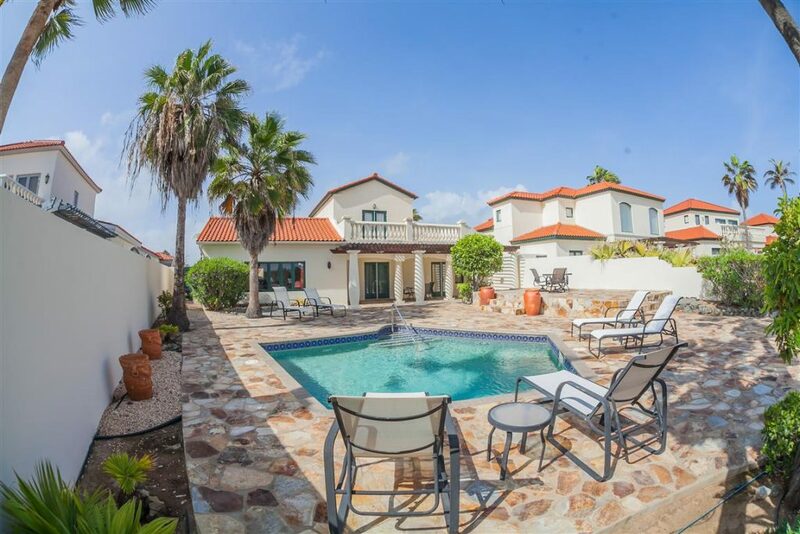 The backyard features a patio, shaded terrace, and private pool.